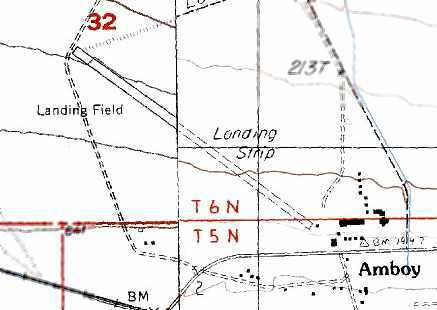 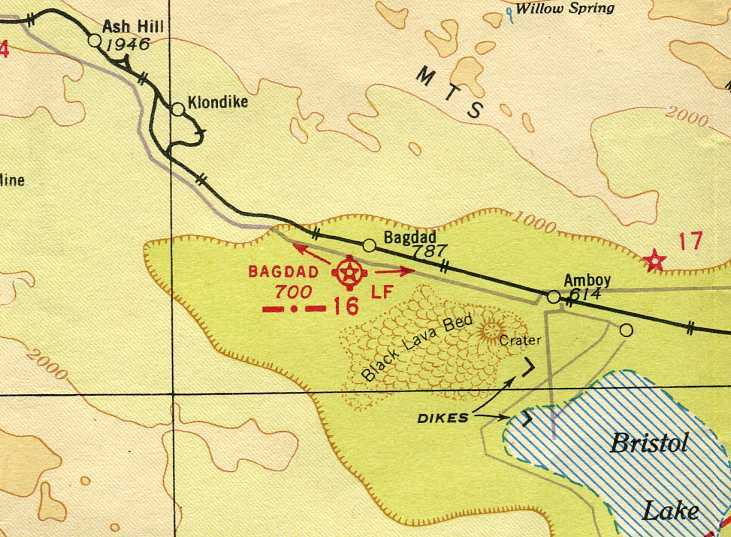 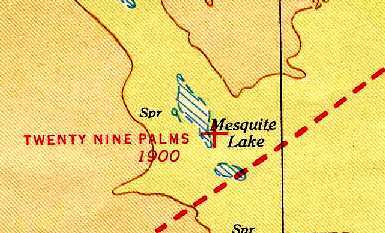 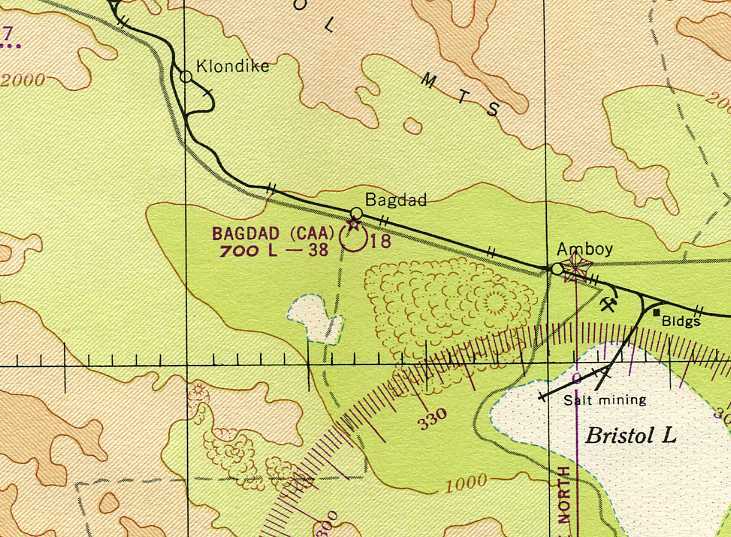 Bagdad Intermediate Field, as depicted on the June 1932 LA Airway Chart (courtesy of Scott O'Donnell). 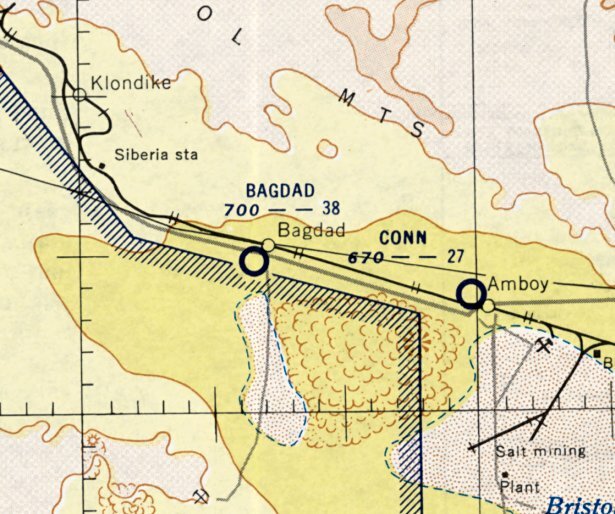 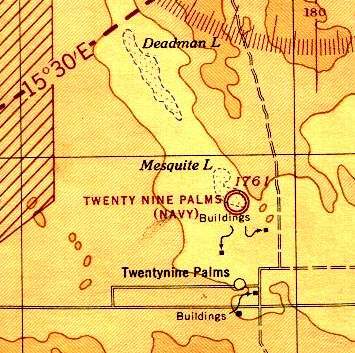 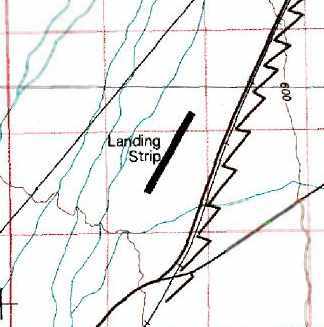 The earliest depiction of the Bagdad Intermediate Field which has been located was on the June 1932 LA Airway Chart (courtesy of Scott O'Donnell). 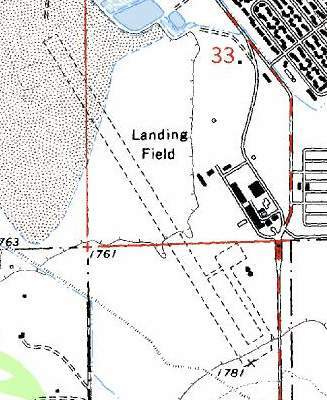 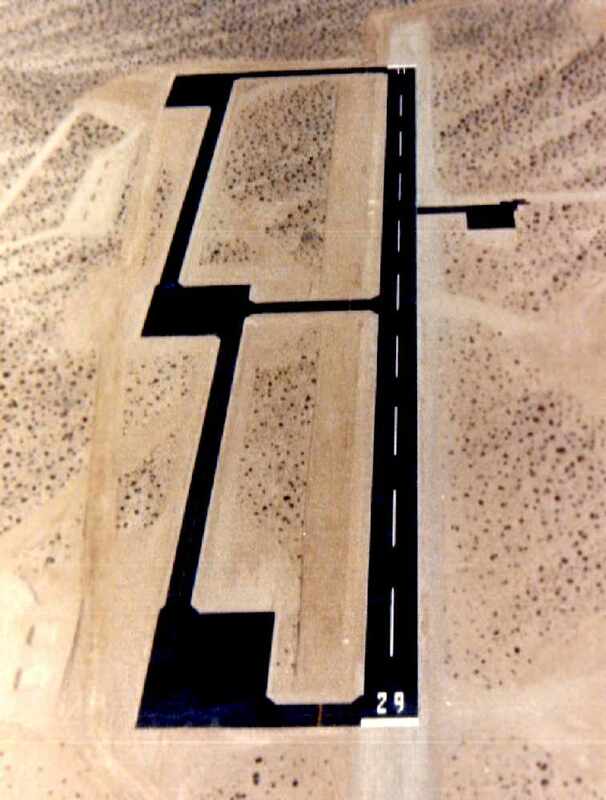 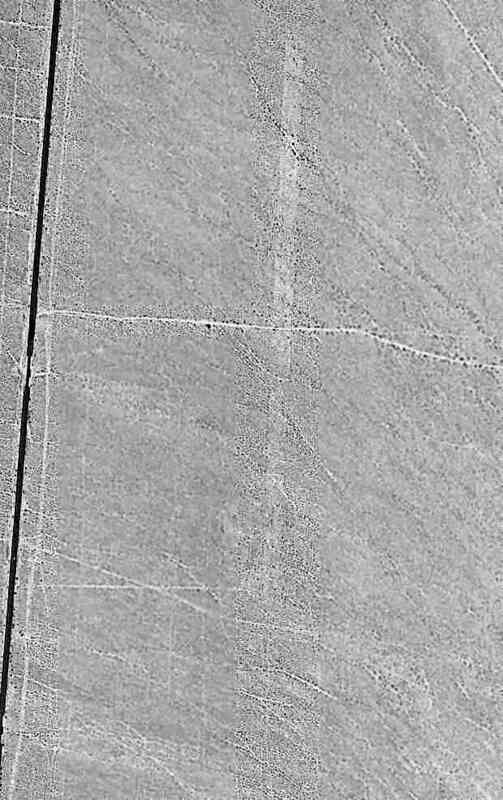 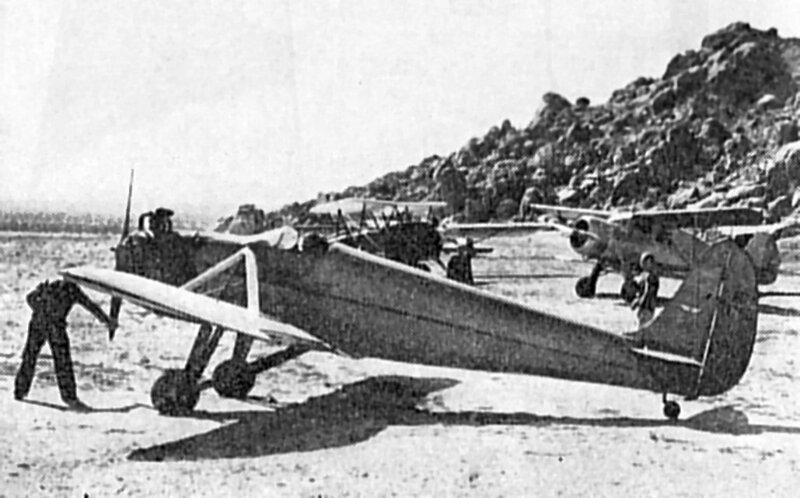 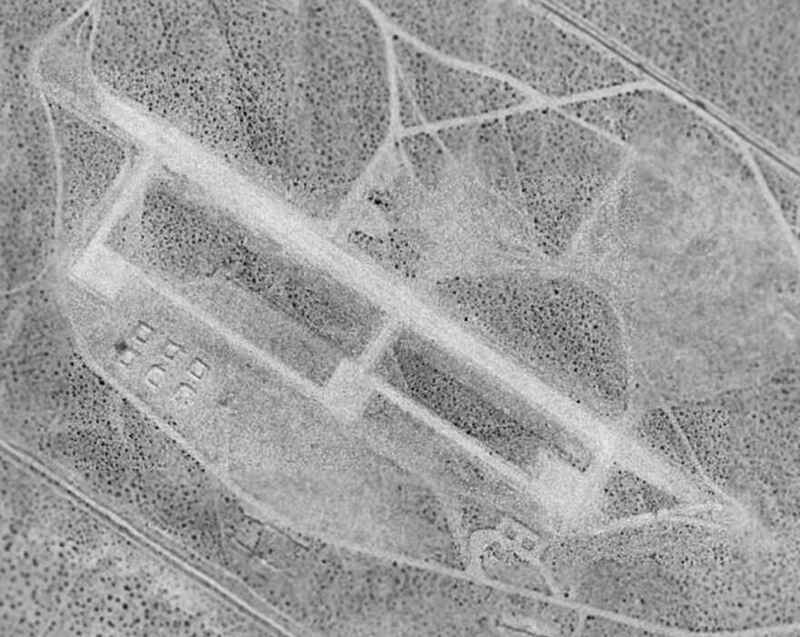 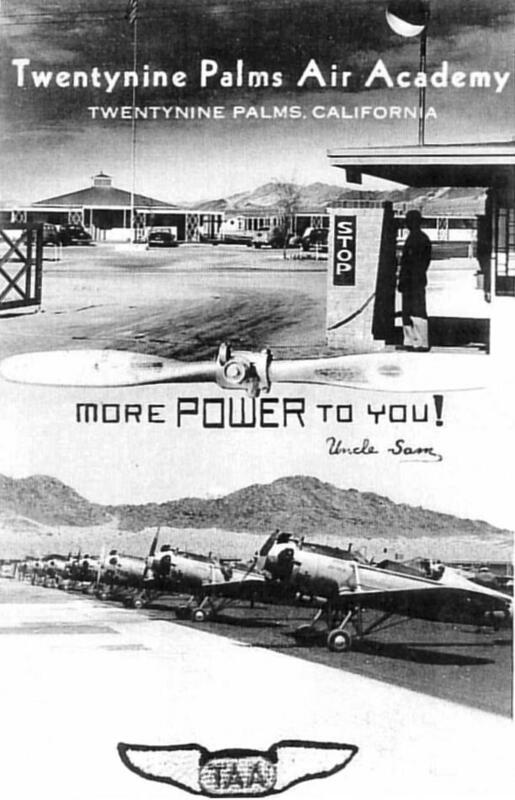 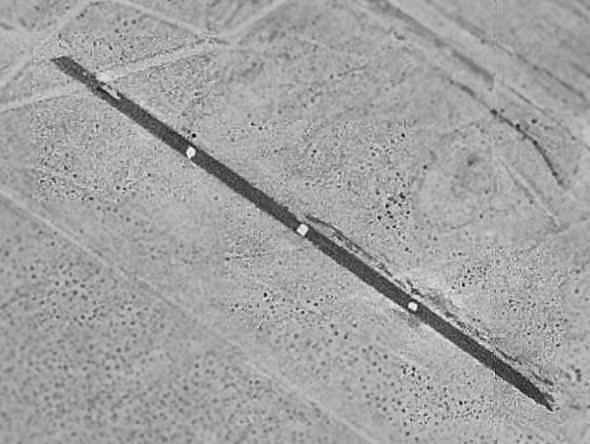 Bagdad Intermediate Field was listed among active airfields in The Airport Directory Company's 1933 Airport Directory (according to David Brooks). 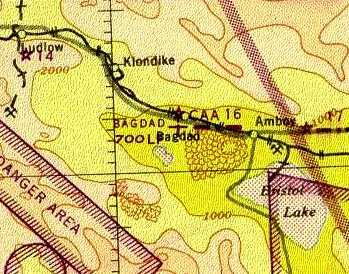 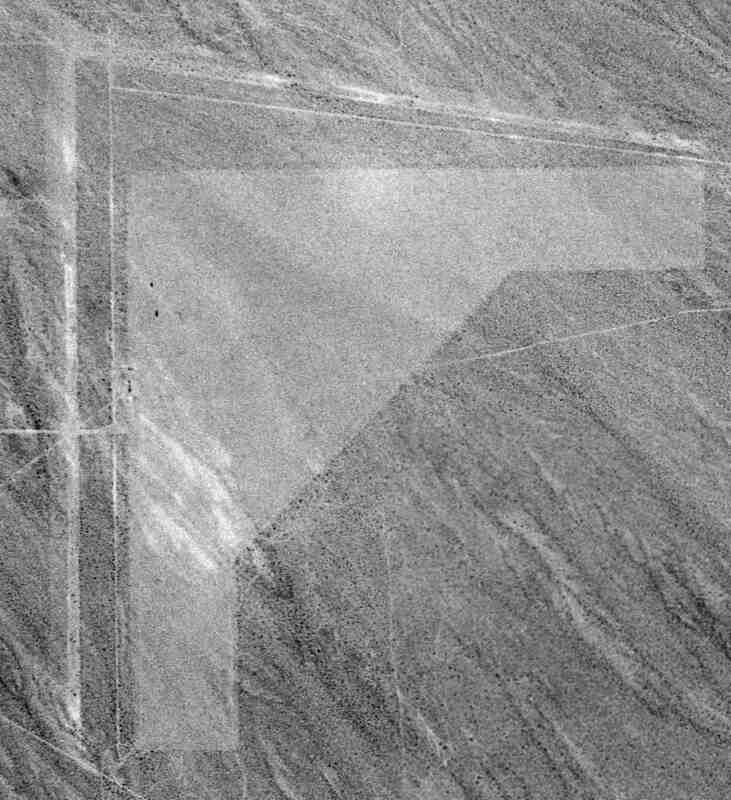 The last aeronautical chart depiction which has been located of Bagdad Intermediate Field was on the March 1955 LA Sectional Chart. 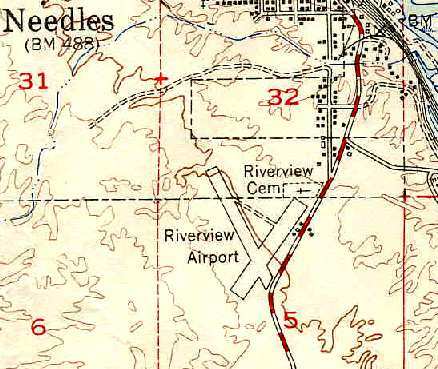 Riverview Airport, as depicted on the February 1946 Los Angeles Sectional Chart. 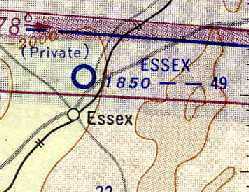 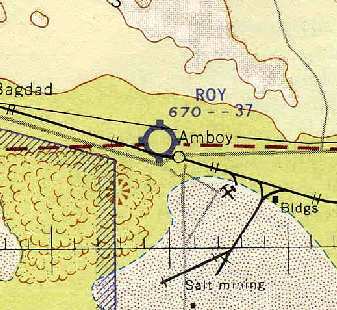 Riverview Airport was bot yet depicted on the August 1945 LA Sectional Chart. 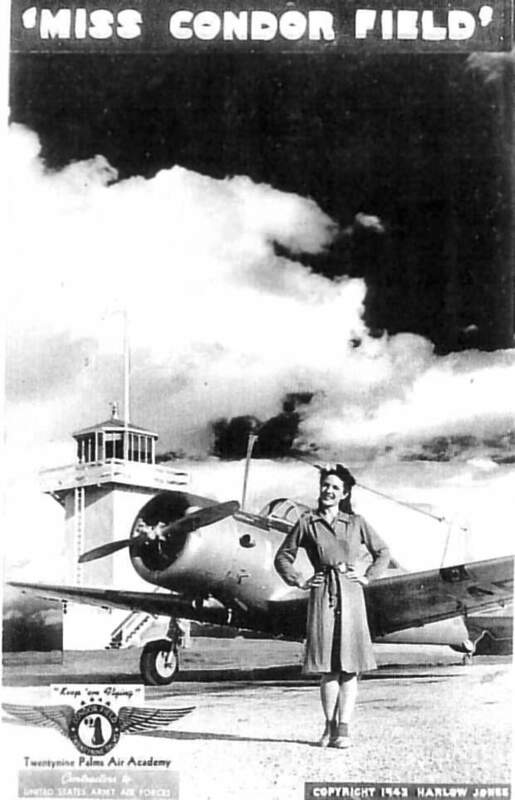 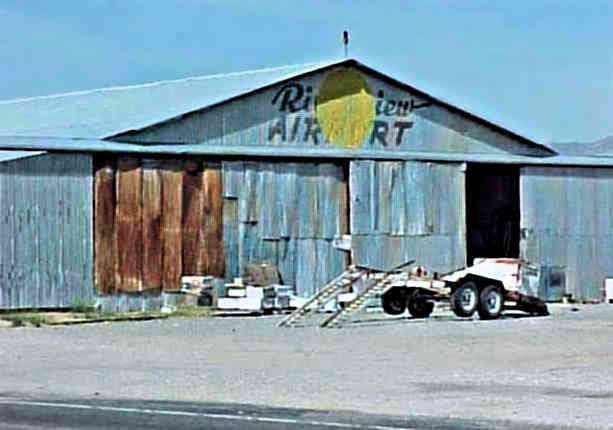 According to a list of Southern California Airports, Riverview Airport was established in 1946. 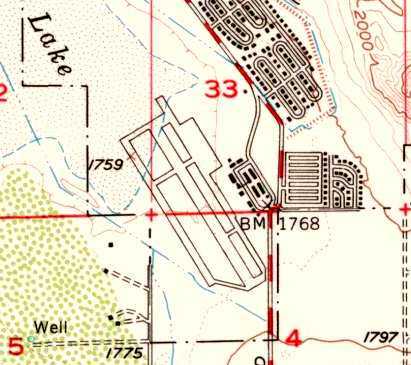 The earliest depiction of Riverview Airport which has been located was on the February 1946 Los Angeles Sectional Chart. 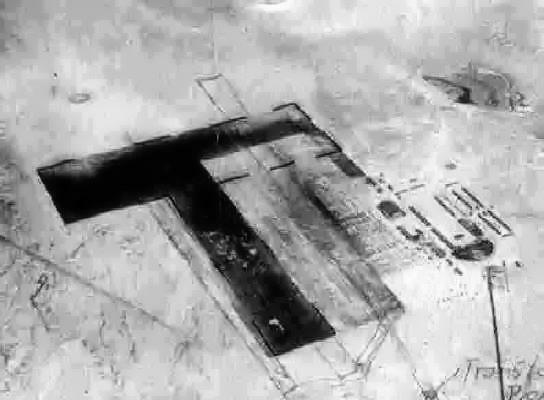 It depicted Riverview as a commercial/municipal airport. 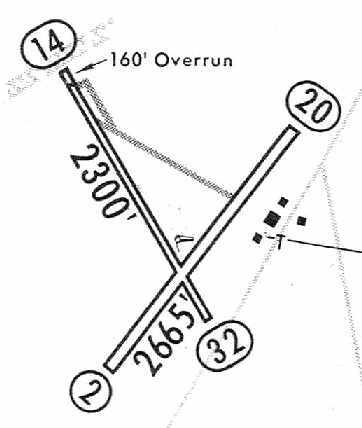 The February 1949 Los Angeles Sectional Chart (courtesy of Chris Kennedy) described Riverview as having a 2,700' unpaved runway. 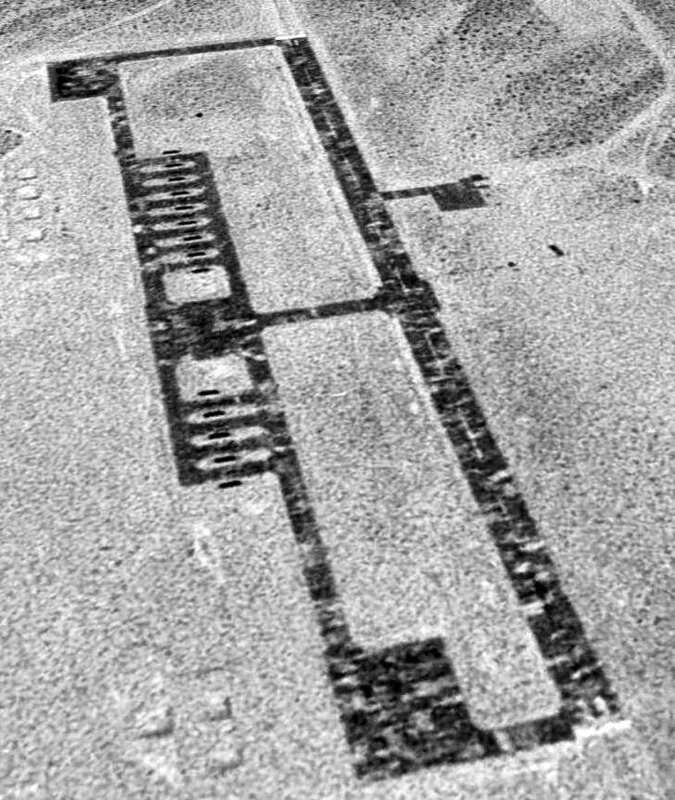 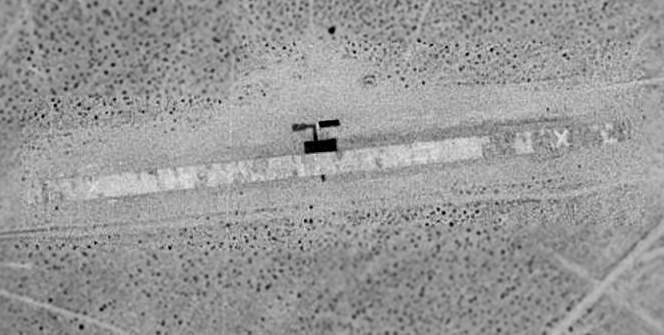 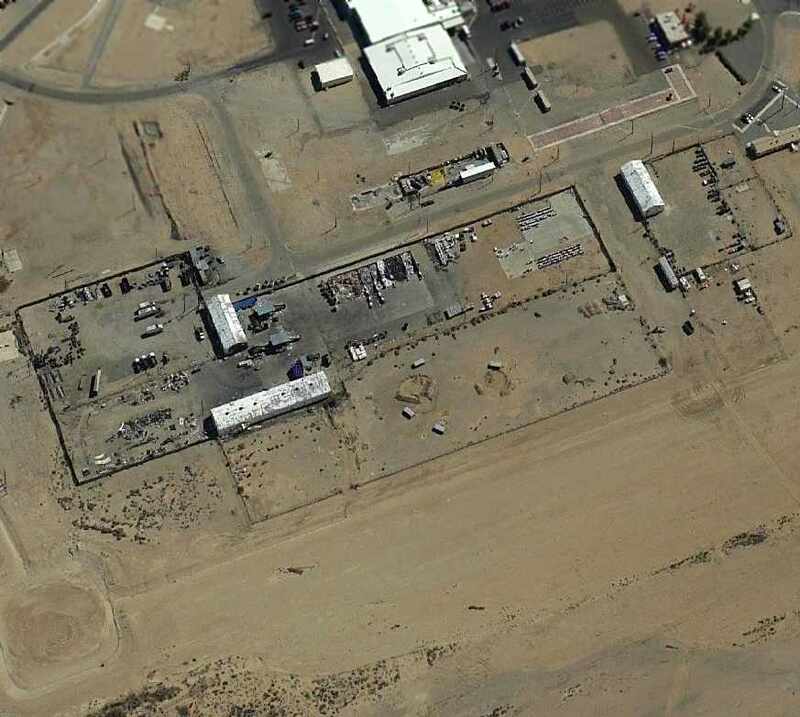 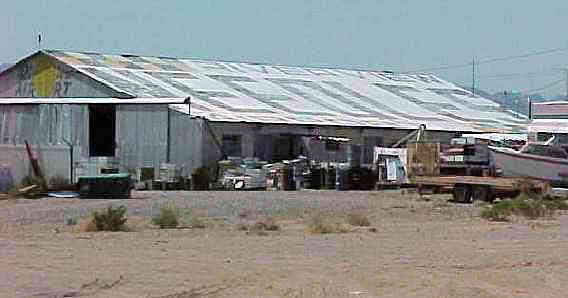 showed an Army encampment with hundreds of tents surrounding the hangars as part of the massive Exercise Desert Strike. 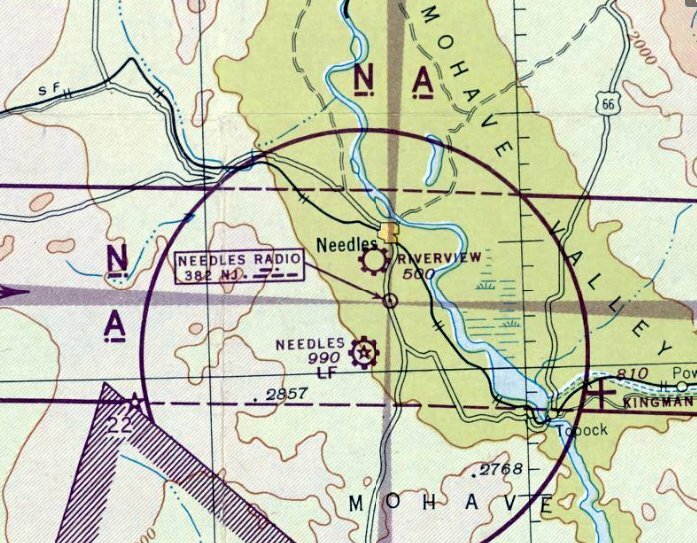 The last aeronautical chart depiction which has been located of Riverview Airport was on the March 1965 LA Sectional Chart. 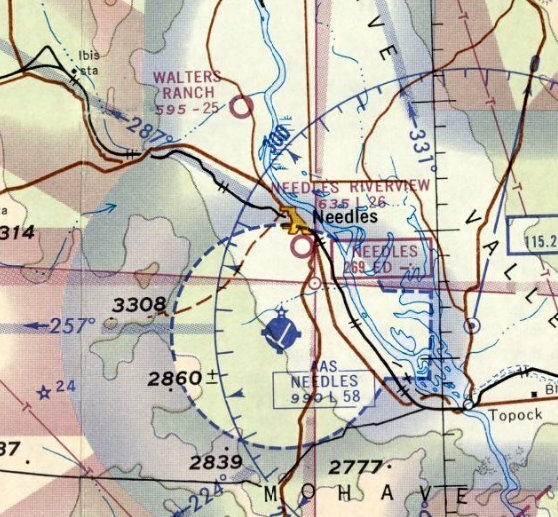 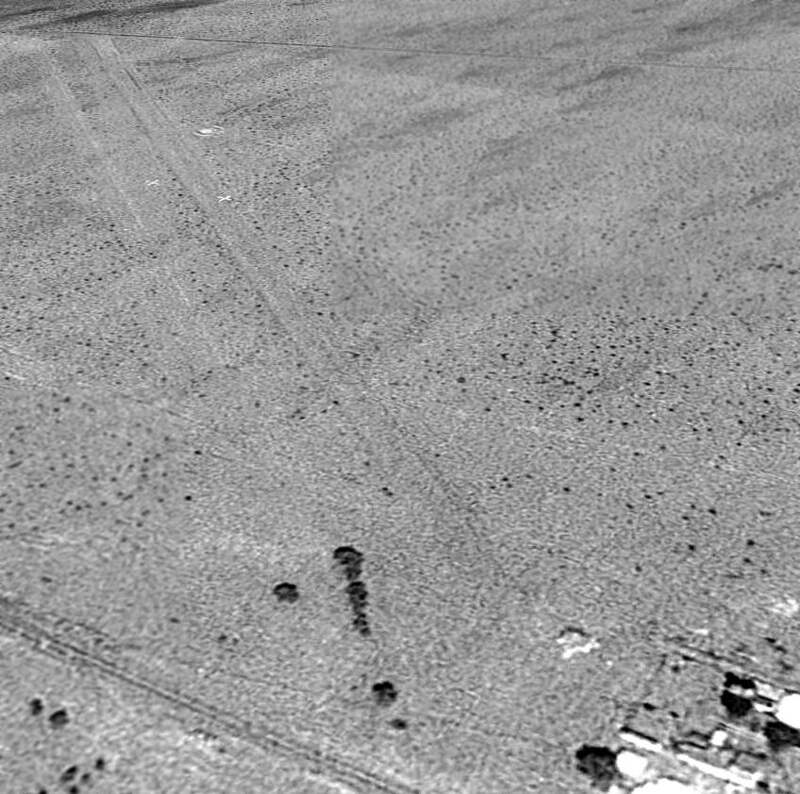 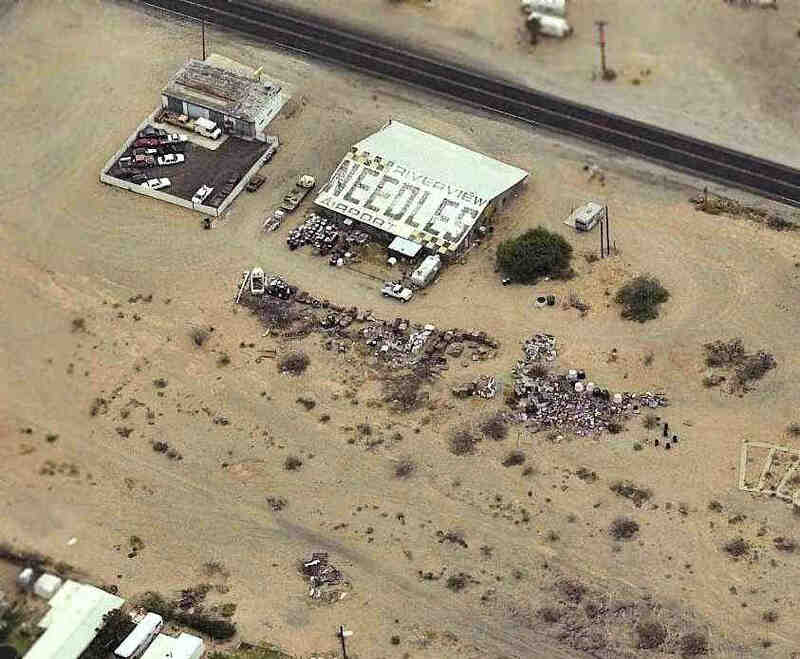 It depicted Needles Riverview Airport as having a 2,600' unpaved runway. 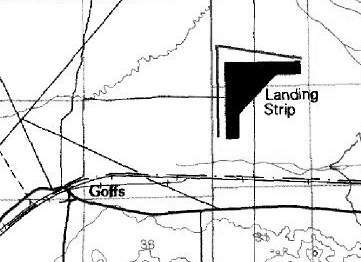 By the time of the 1975 USGS topo map, the airfield of the former Riverview Airport had been covered by several new residential streets. 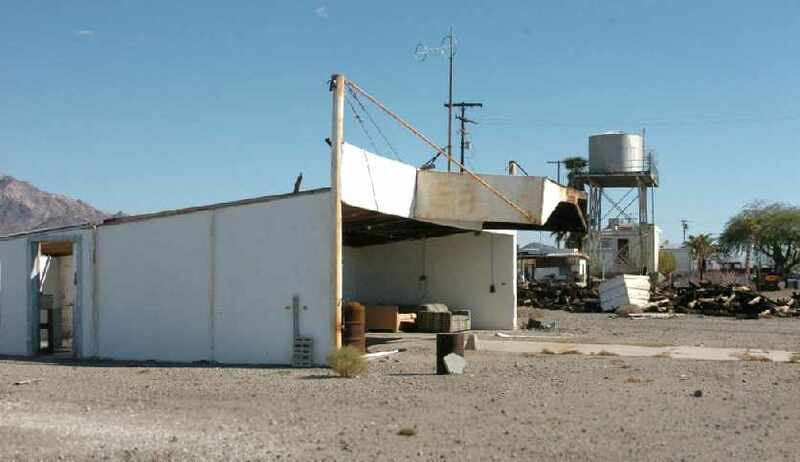 John reported, “I had an opportunity to go inside this hangar about 12 years ago & all it was & still is, is a honey processing place for the local bee farms. 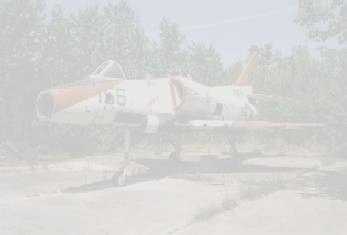 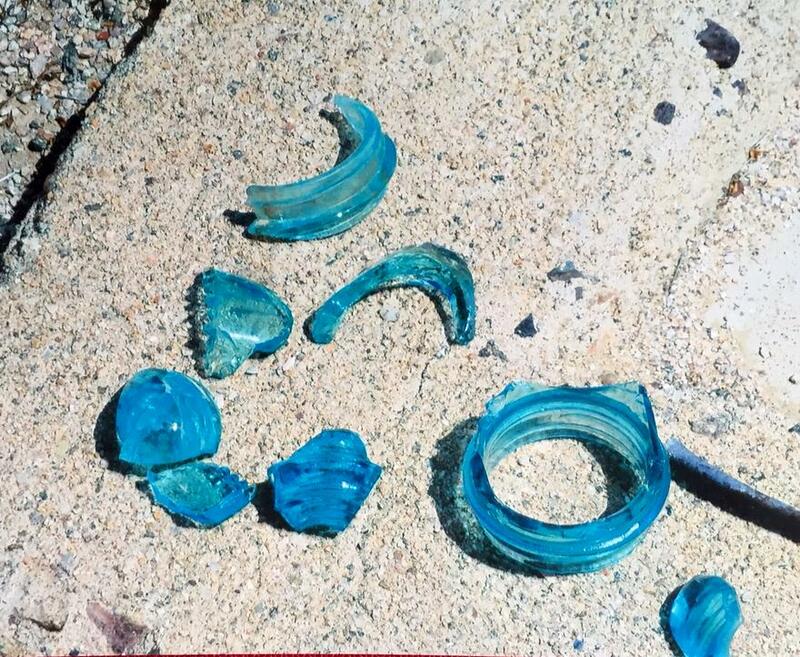 I remember a lot of junk laying around, nothing reminiscent of airplanes. 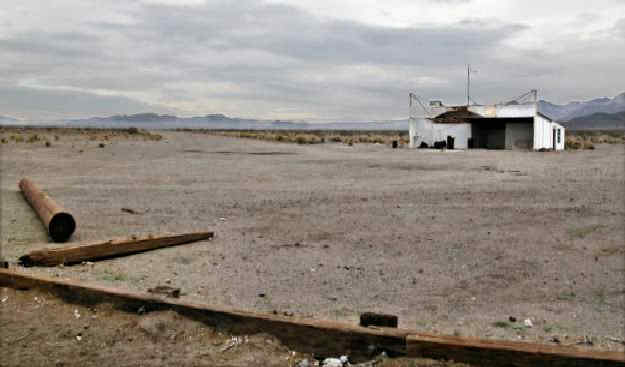 The place had shown its age though! 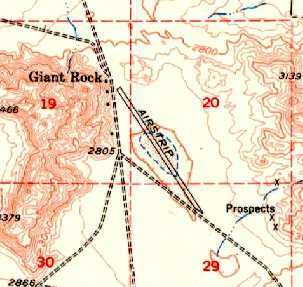 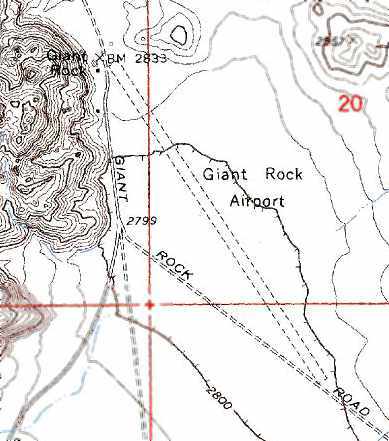 Giant Rock Airport, as depicted on the November 1939 LA Sectional Chart. 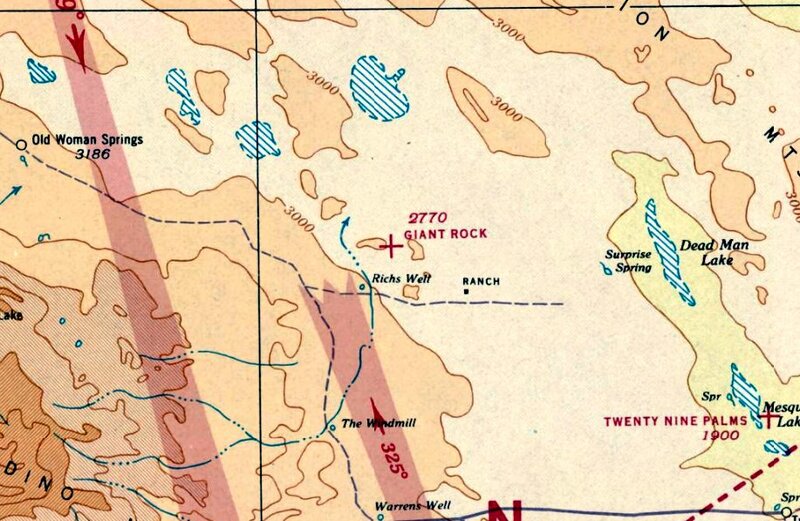 Giant Rock Airport was not yet depicted on the December 1938 LA Sectional Chart. 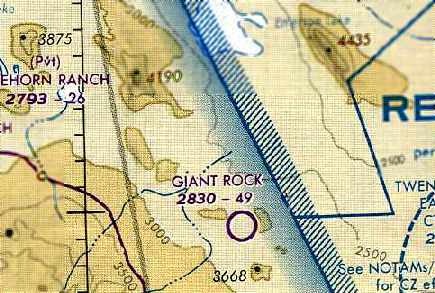 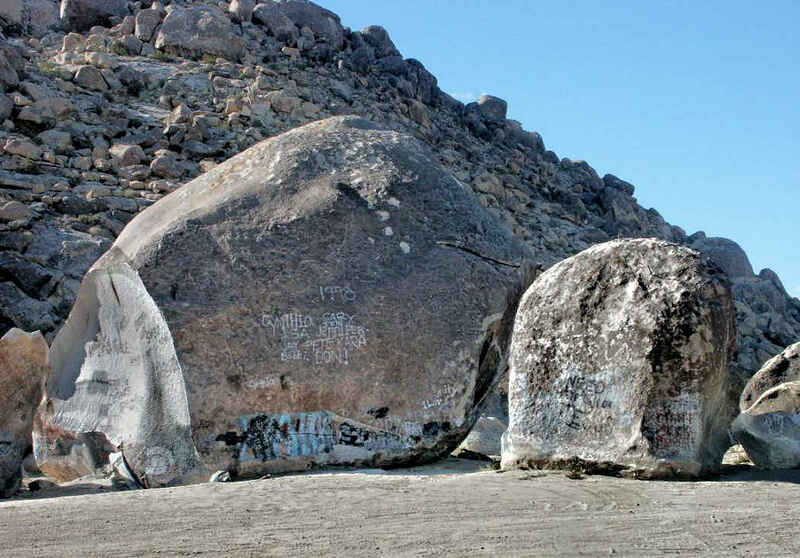 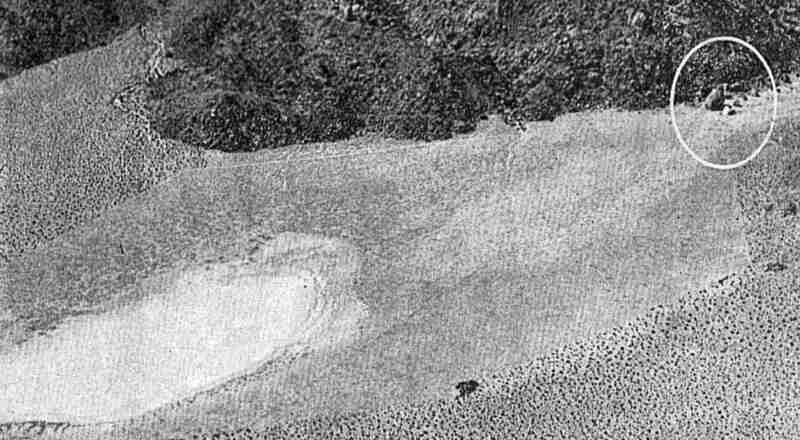 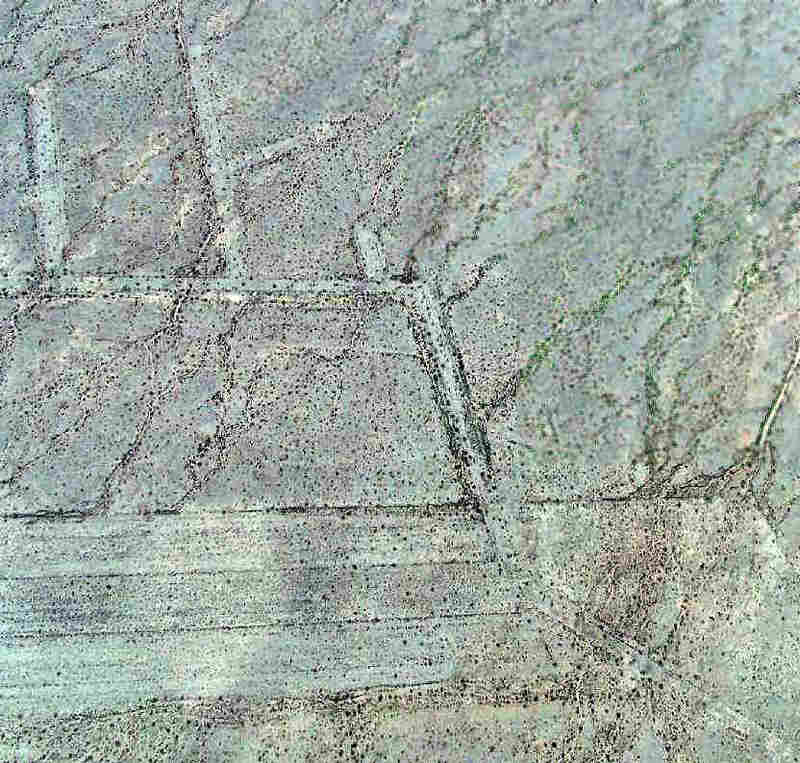 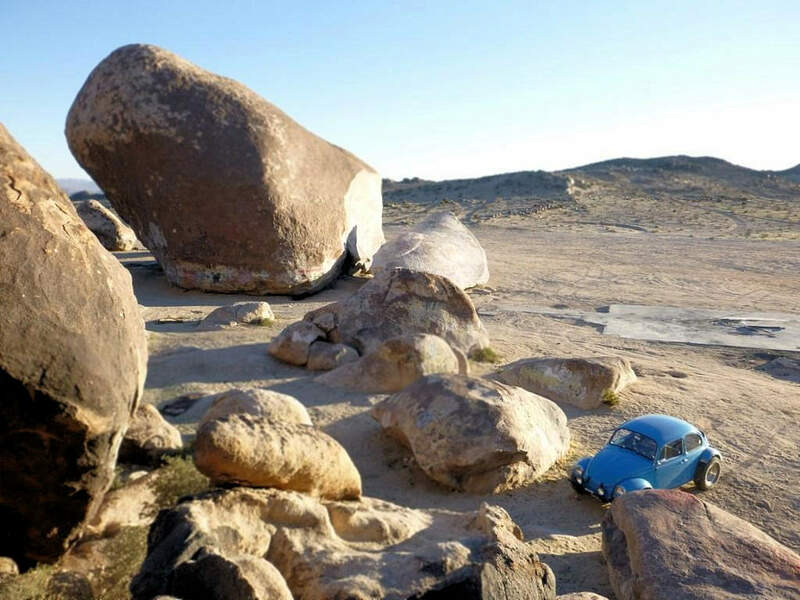 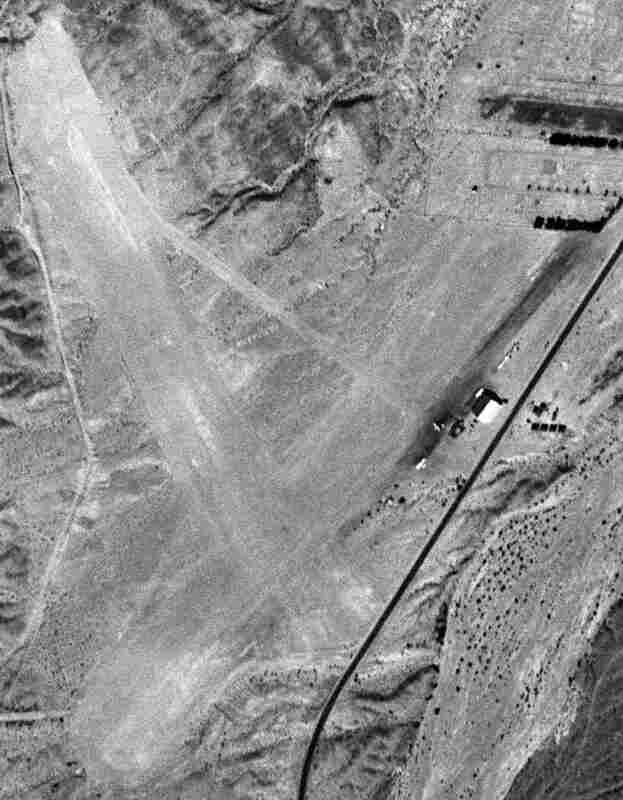 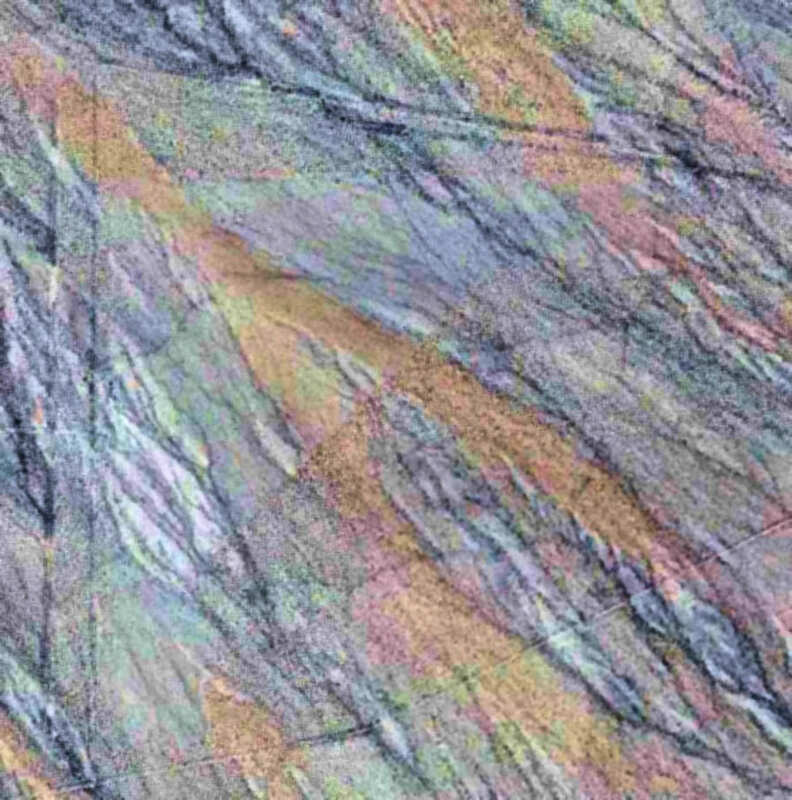 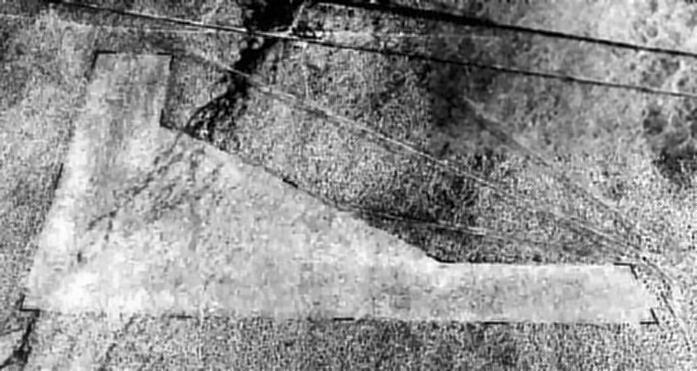 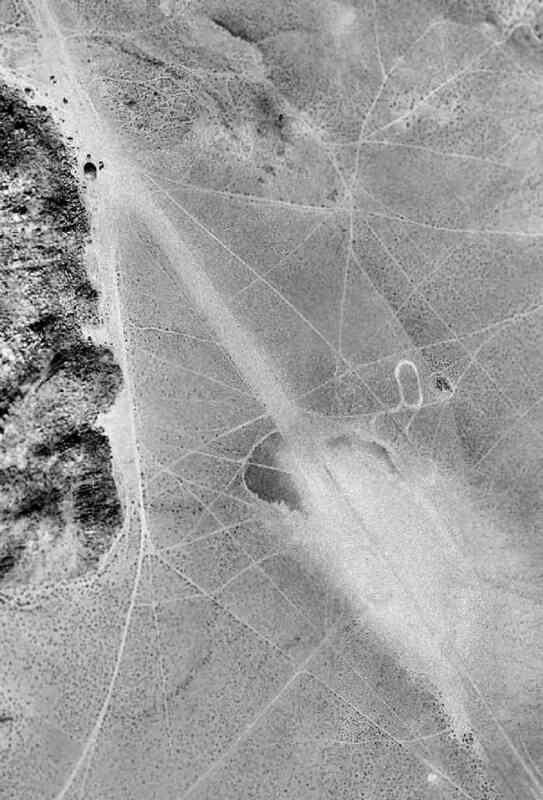 which depicted Giant Rock as an auxiliary airfield. 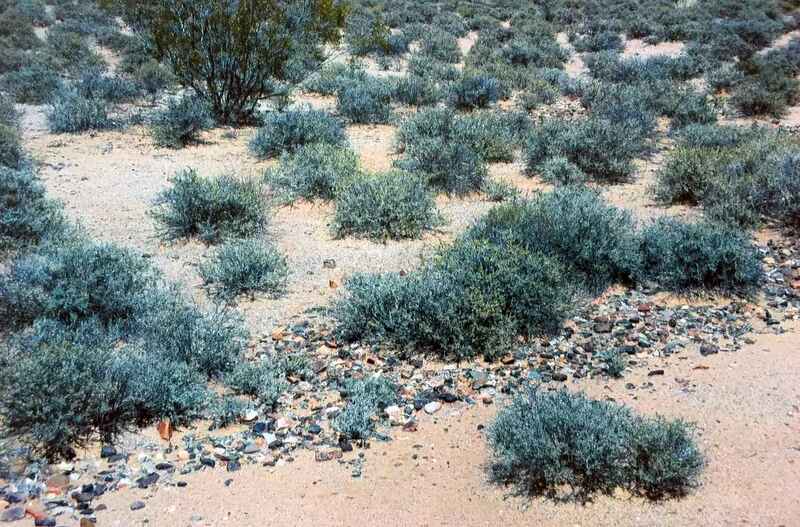 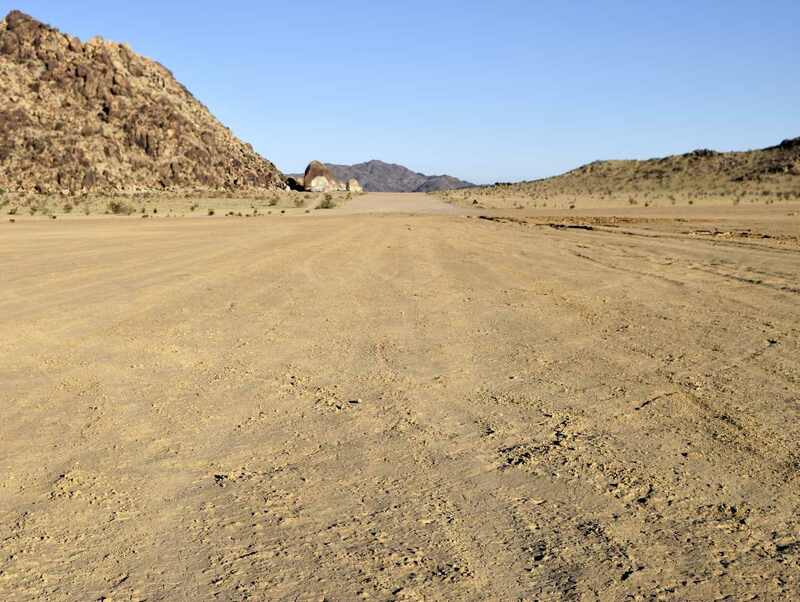 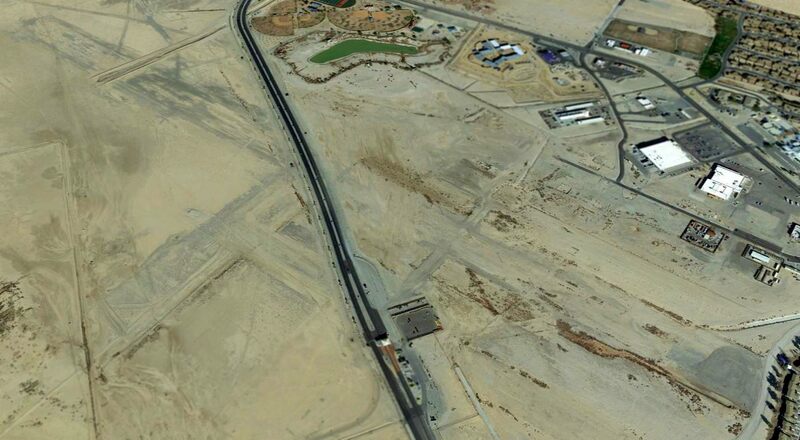 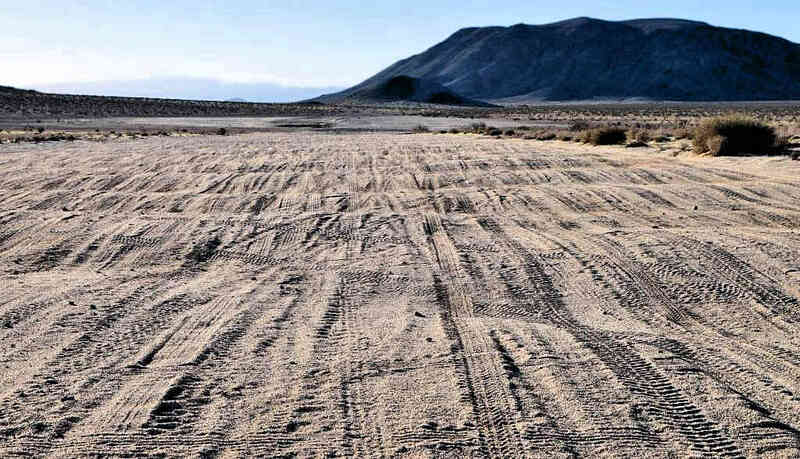 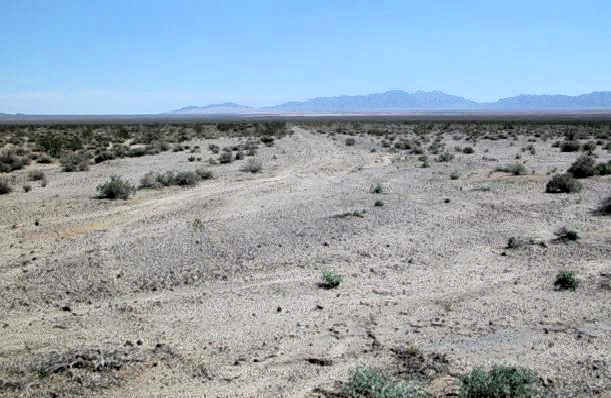 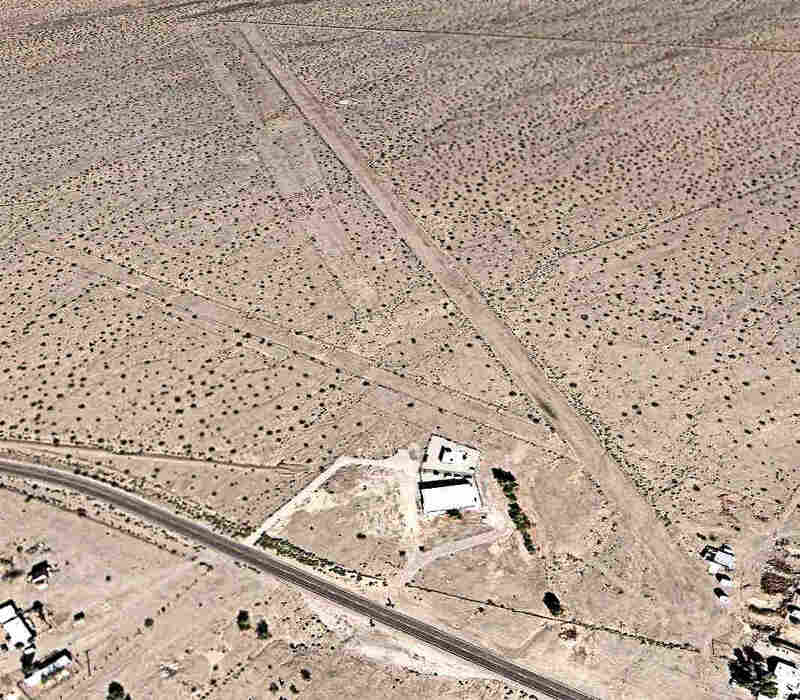 I made application to the Bureau of Land Management to acquire this property, and wanted to make an airport here. 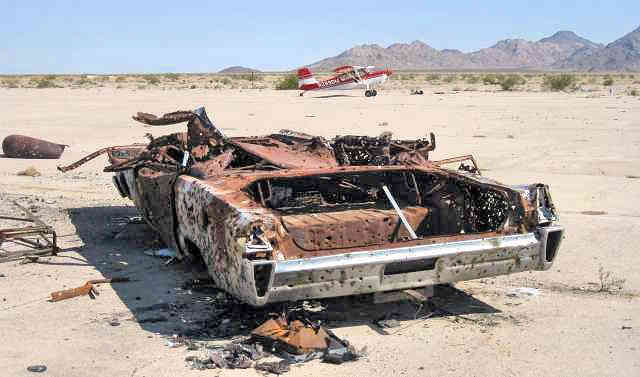 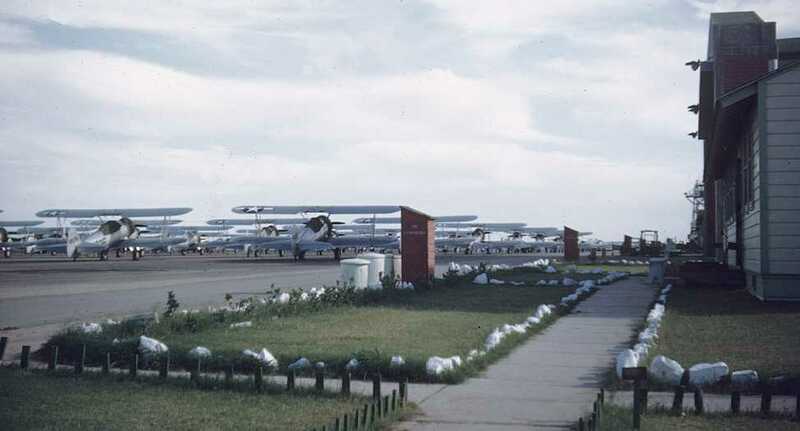 Frank had already cleared an area & many airplanes had landed. 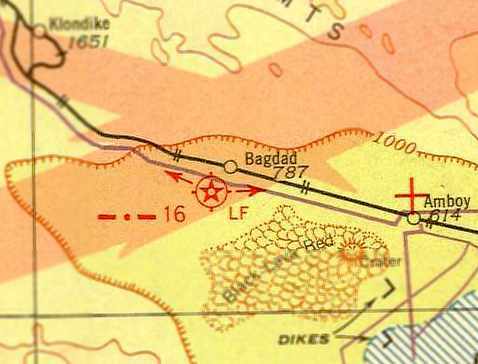 However, it wasn't on the airmaps. 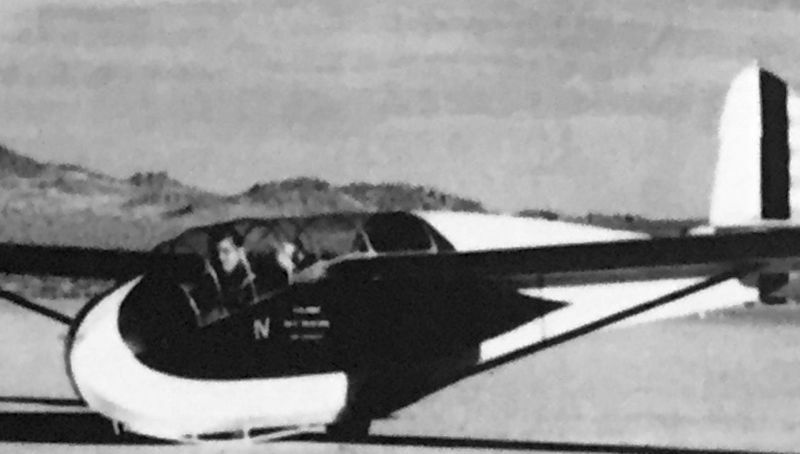 An undated postcard looking northwest (courtesy of Steve Cruse) showed a single Piper taildragger at Giant Rock. 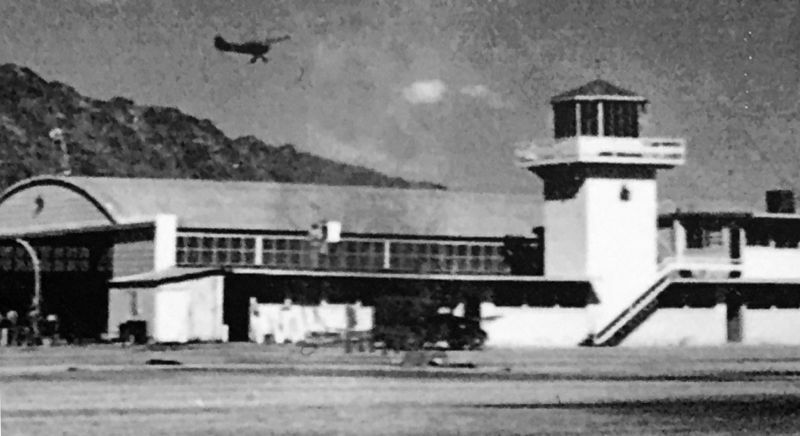 I visited the airport countless times both when we showed visitors the rock & room below - it had a piano, wood stove, etc. 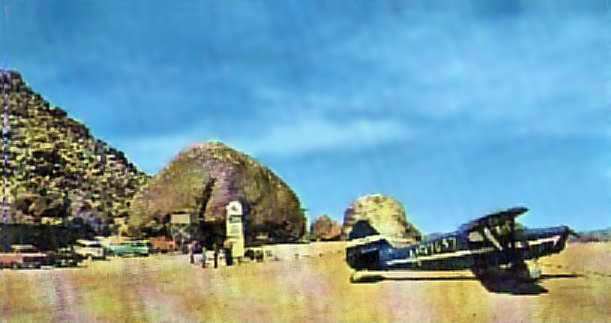 The last photo which has been located showing an aircraft at Giant Rock was a circa mid-1970s photo by Dave Stevens of “a gathering of flying friends”. 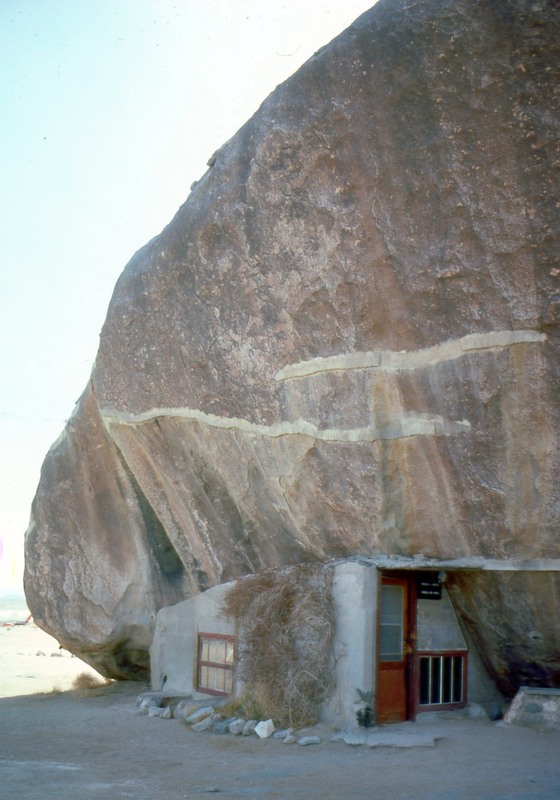 A circa mid-1970s photo by Dave Stevens of the house under Giant Rock. 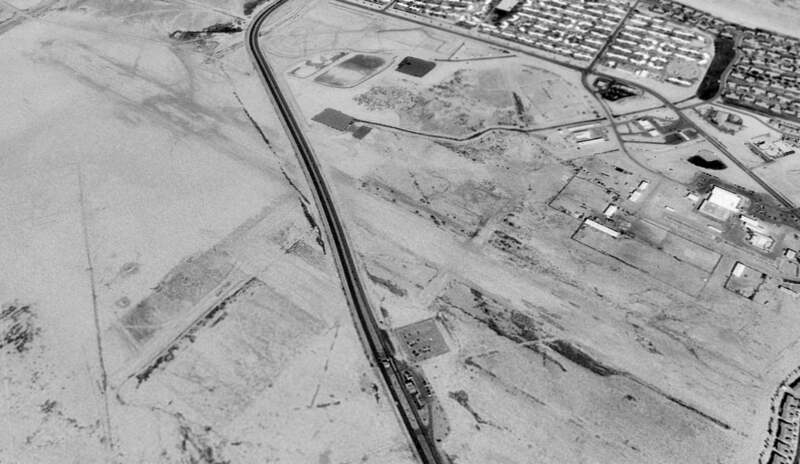 "at which time I sold it to Phyllis & John Brady, who in turn turned it over to Jose Rodriguez & his family in 1977." 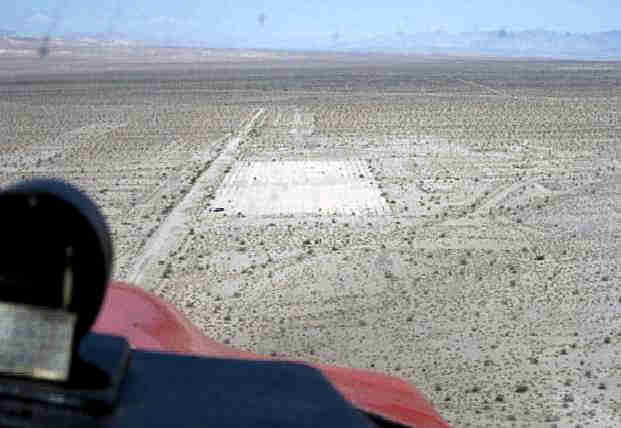 and a number of buildings on the east side of the field, but there were no aircraft visible on the field. 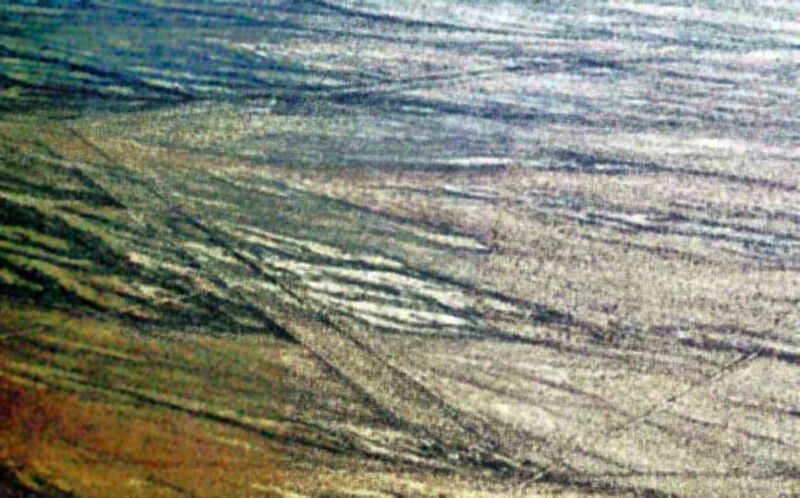 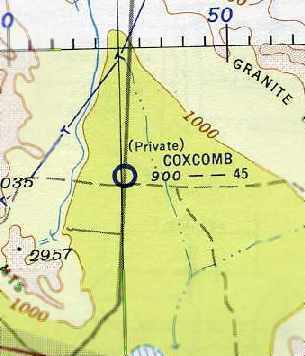 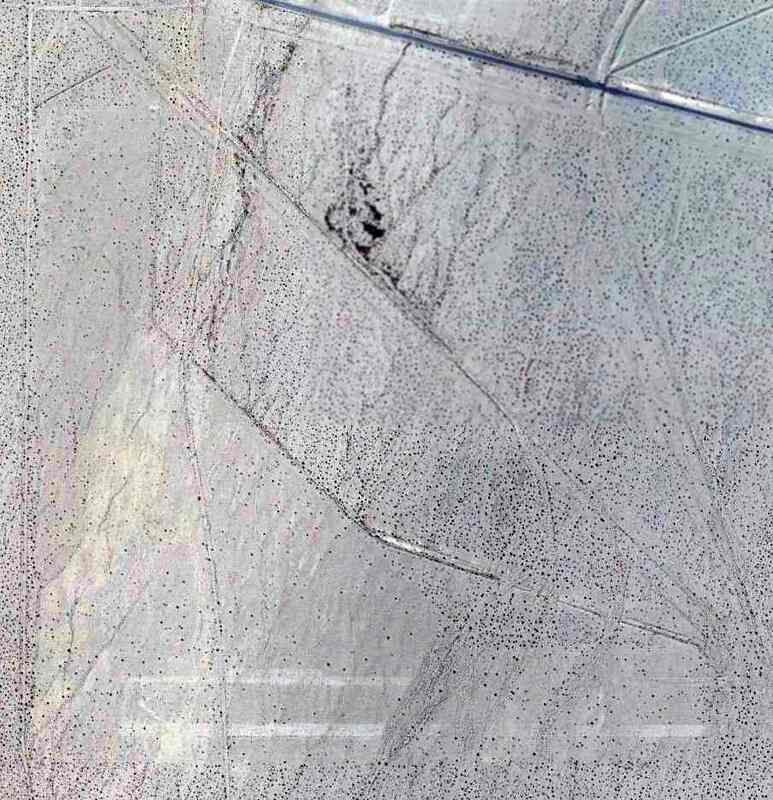 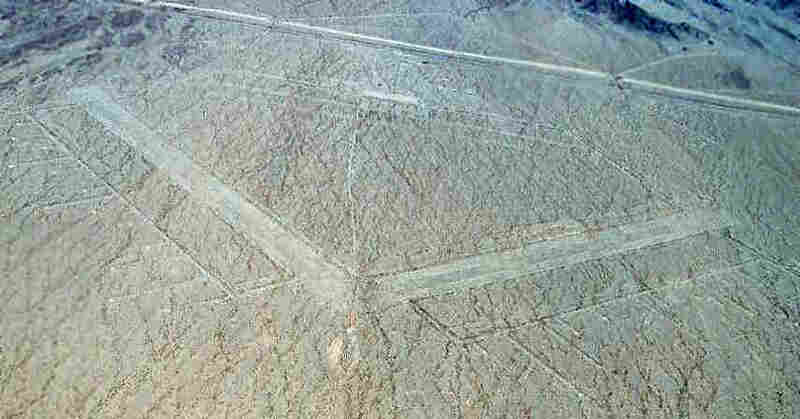 Chris Kennedy visited Camp Coxcomb in 2003, and reported that "There is really nothing to identify it as an airstrip. 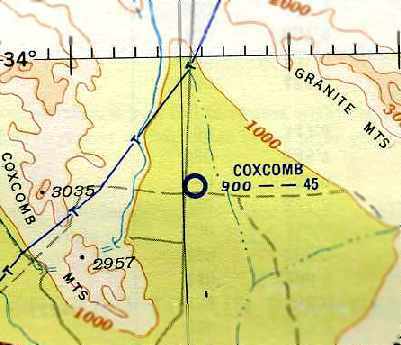 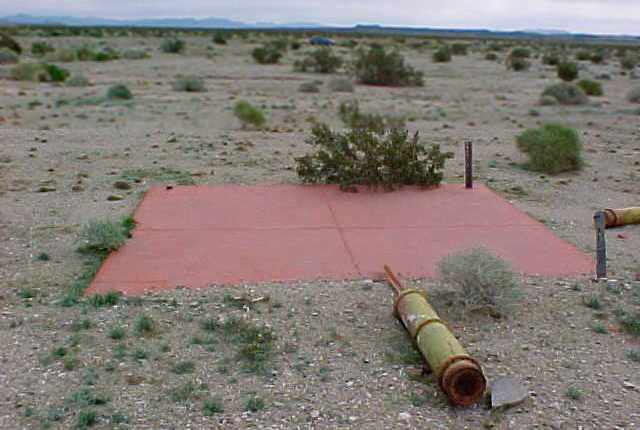 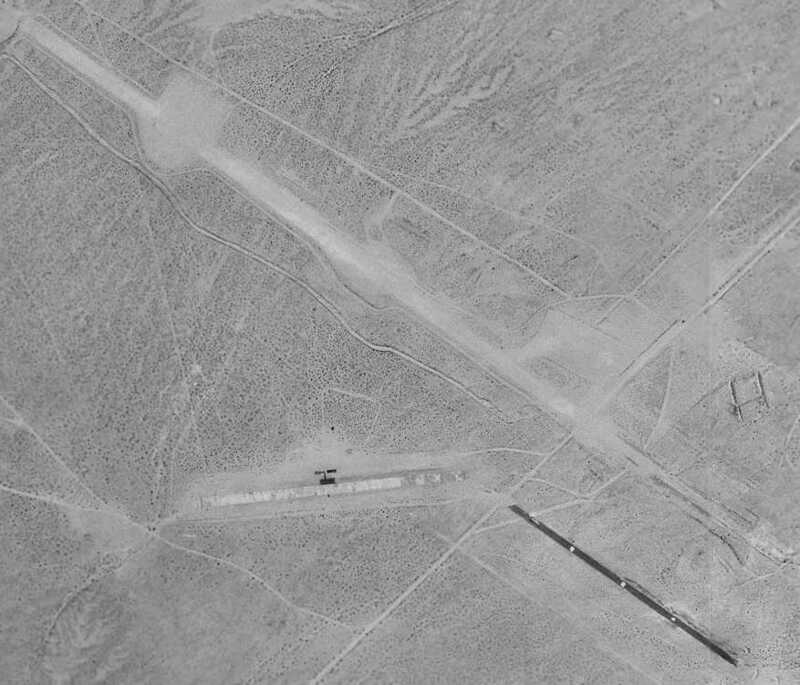 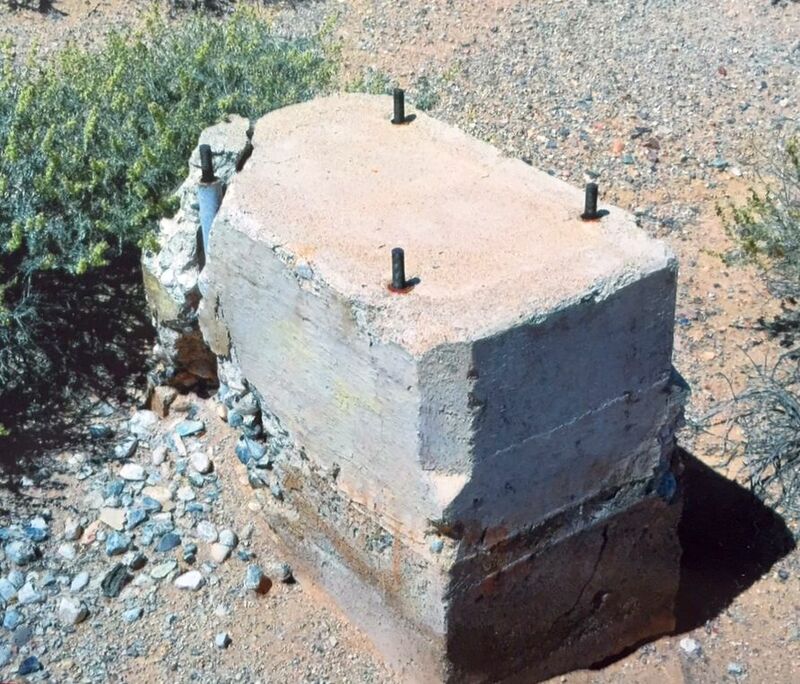 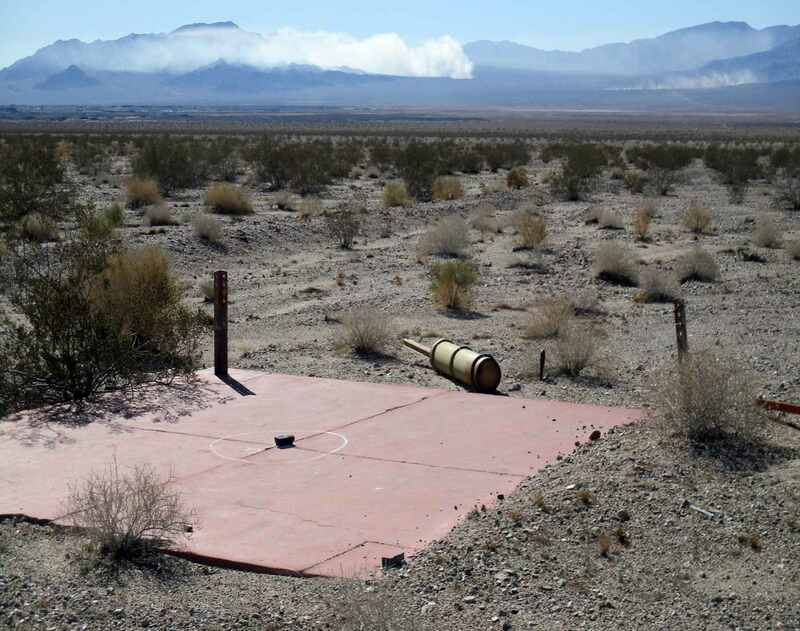 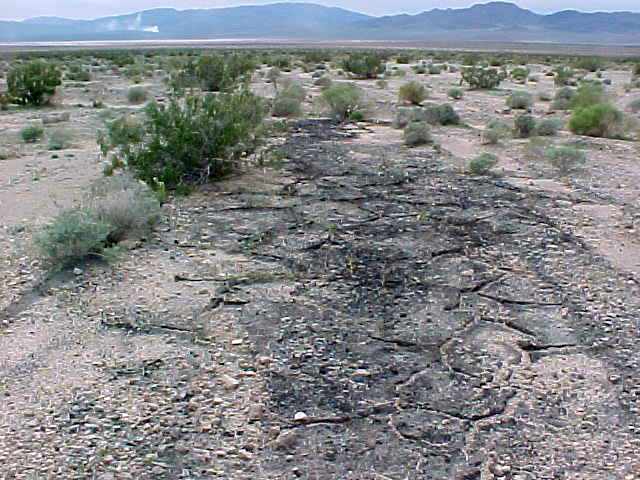 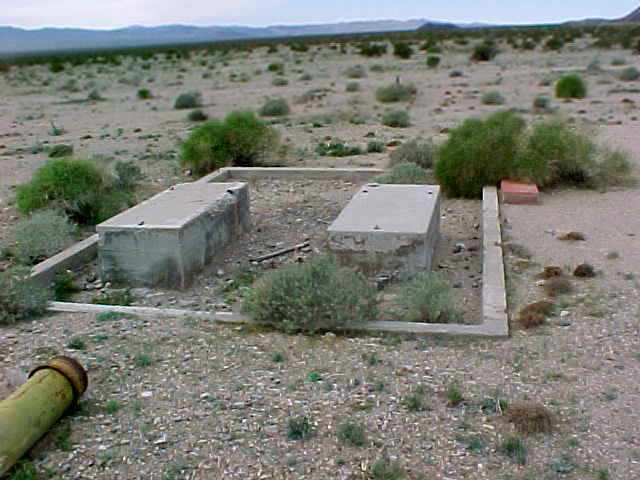 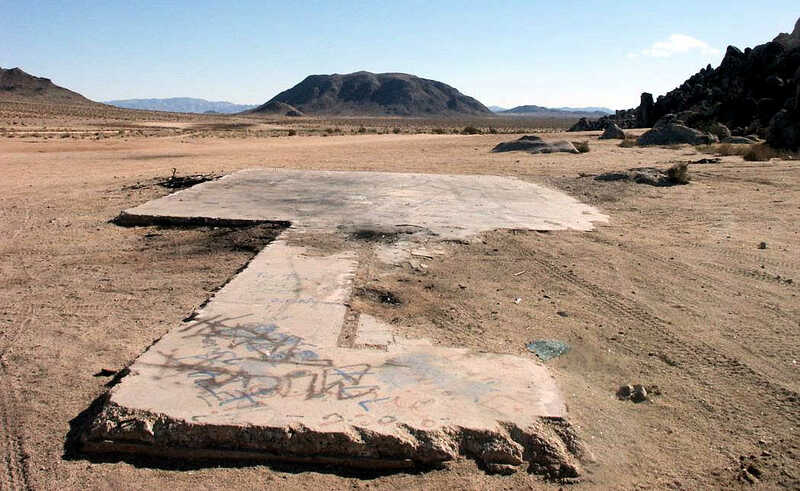 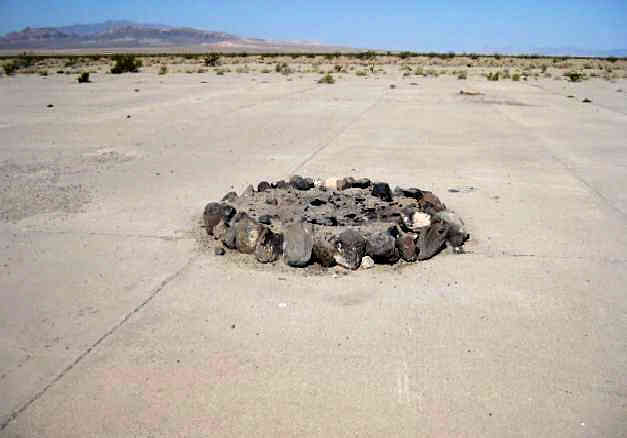 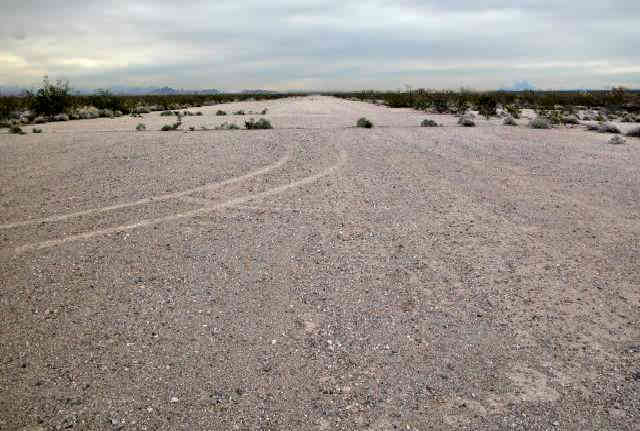 The Camp Coxcomb Airfield site is located along the east side of Route 177, 24 miles southwest of Freda. 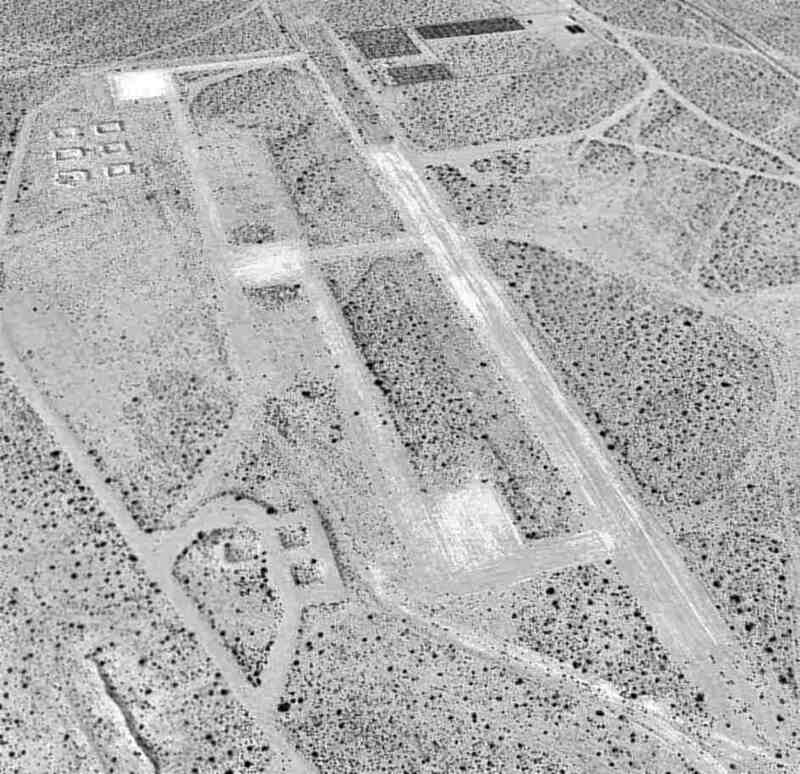 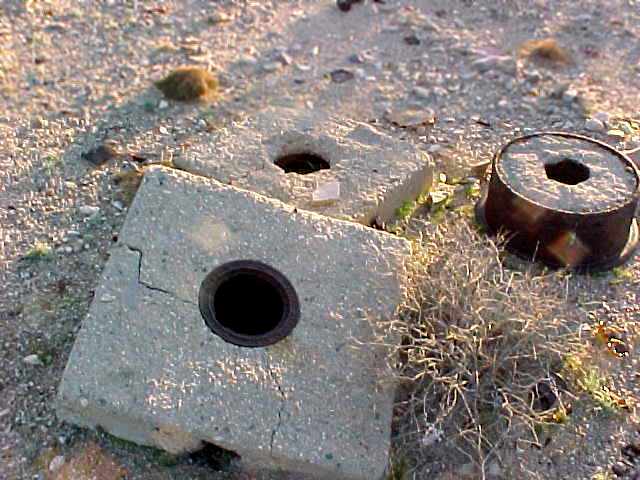 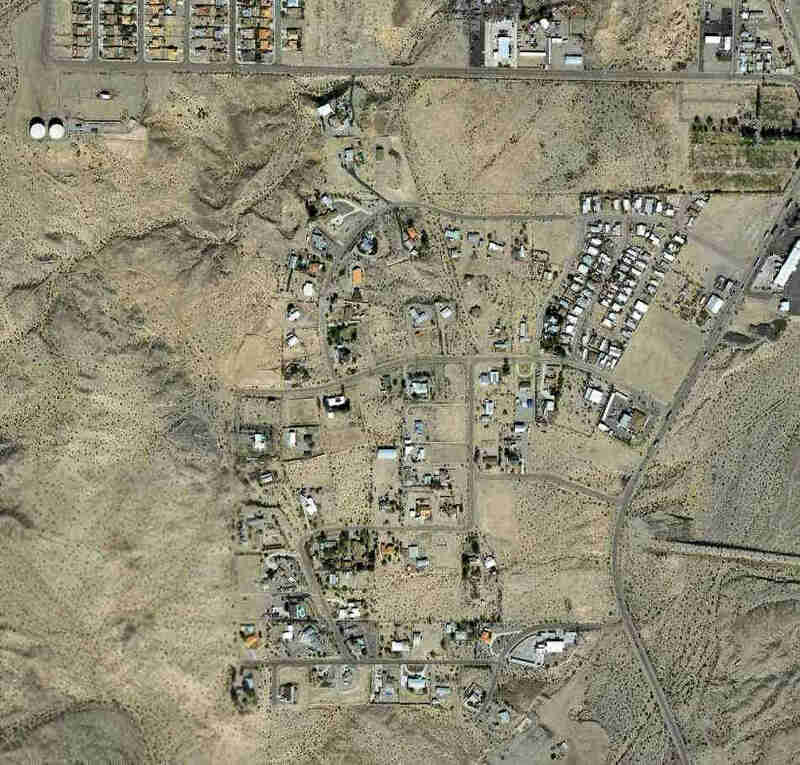 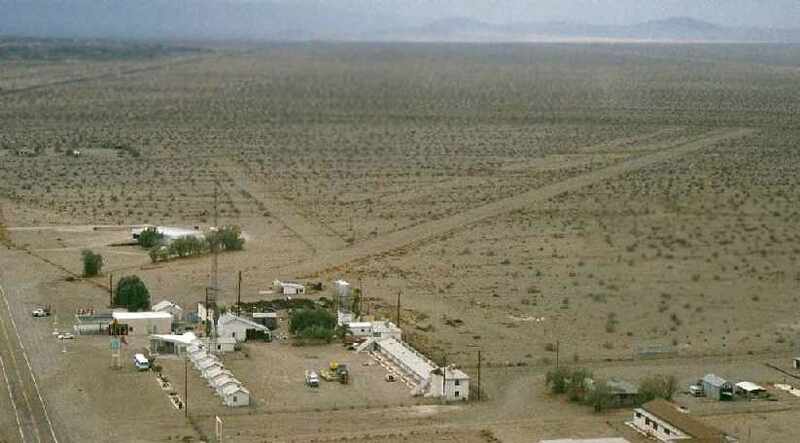 Within the organization of the Desert Training Center, the Camp Essex site was established as one of the several divisional camps. 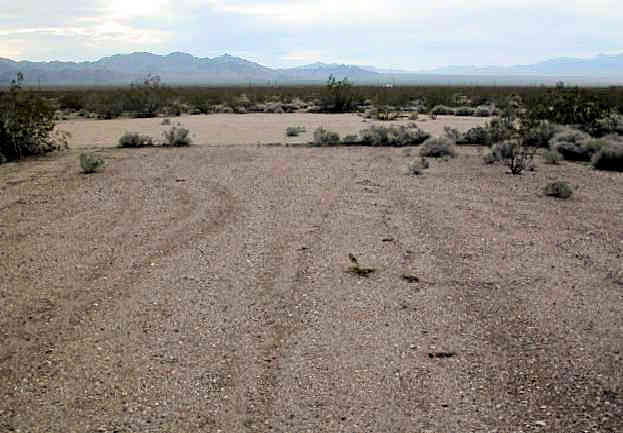 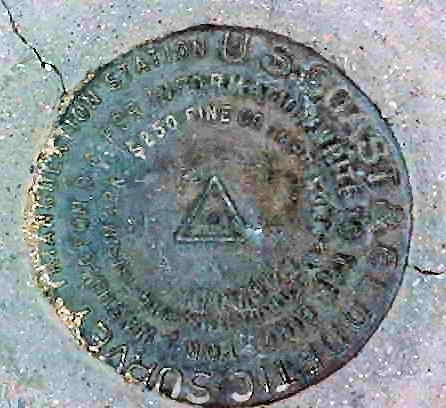 In 1943, the Department of the Interior transferred 21,537 acres. 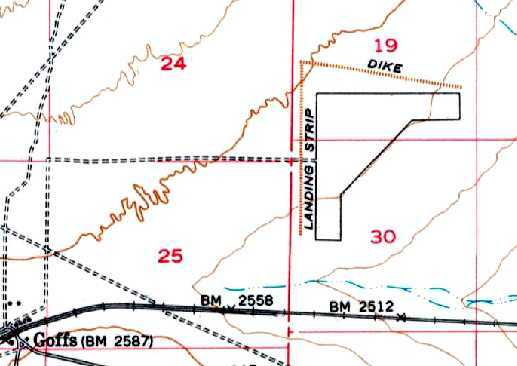 An additional 8,998 acres was granted by permit. 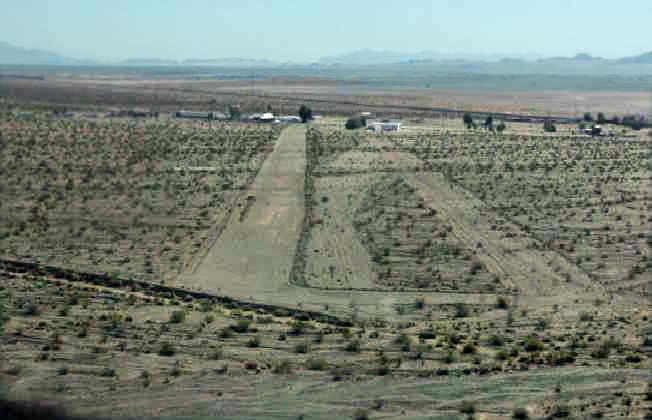 The camp was established during 1942 & subsequently occupied by the 93rd Infantry Division among others. 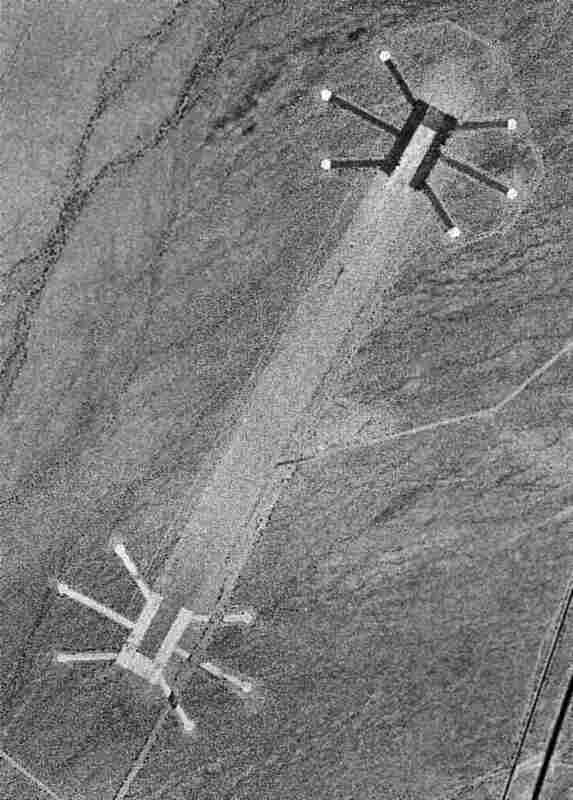 It has a unique configuration, not seen anywhere else, with 6 dispersal pads (?) 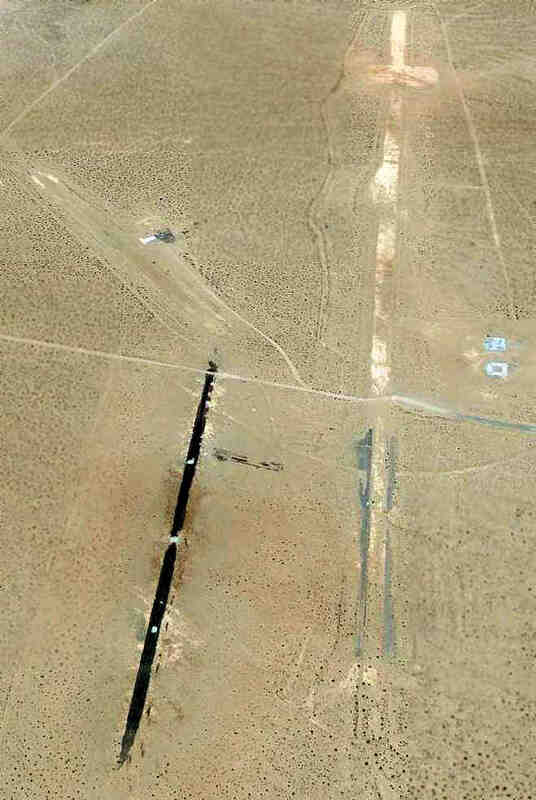 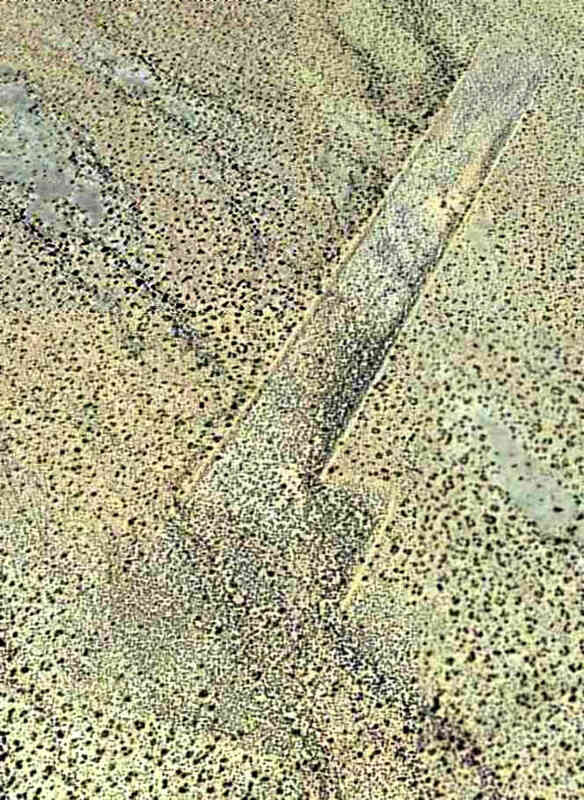 surrounding each end of the 5,000' runway. 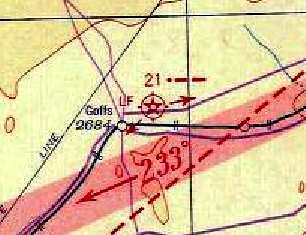 the standard pattern for WW2 forward positioning fields. 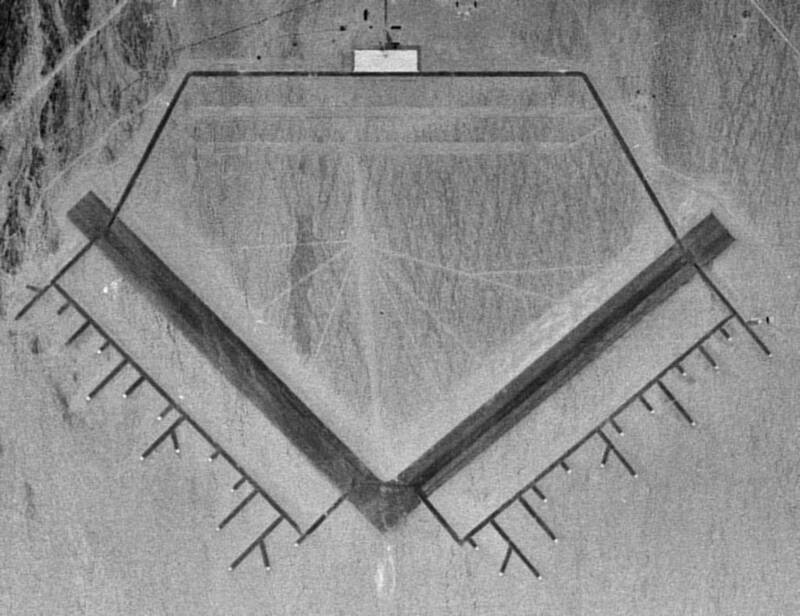 The 2 runways would permit a mass launch. 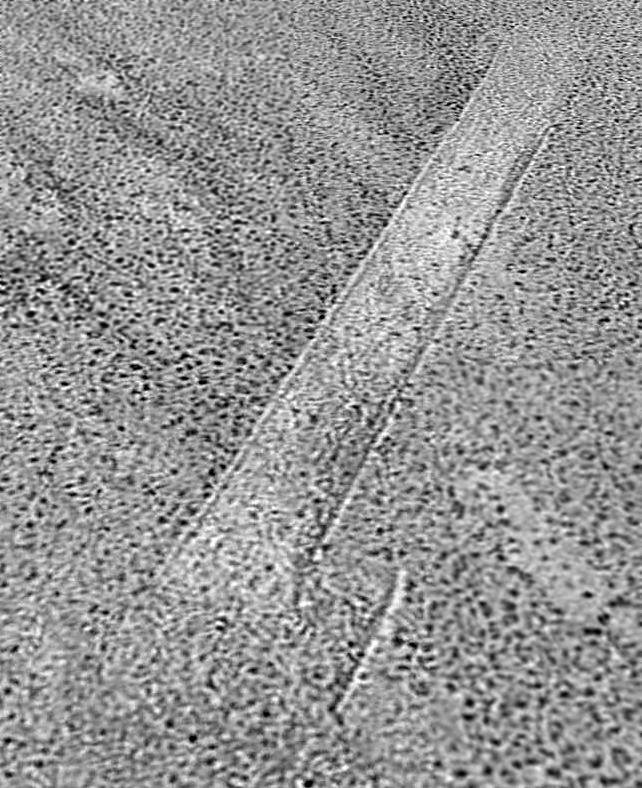 The taxiways to the parking pads are also gravel & mostly in good shape, although a few of them are crossed by a dry stream bed now. 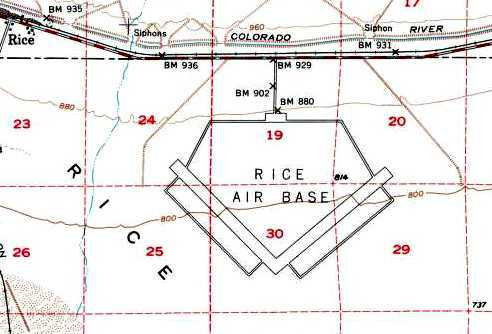 the "Rice Municipal Airport" was acquired by the Army's IV Air Support Command in 1942, and was operational by 1942. 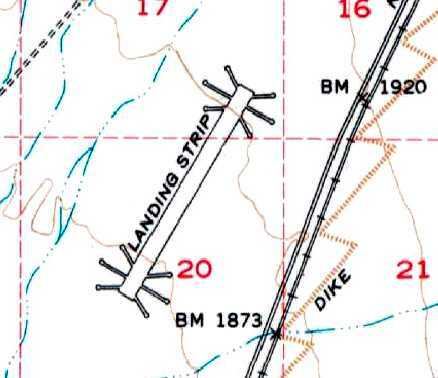 Its date of construction is unknown, but it was not depicted on a 1932 Los Angeles Airways Chart (courtesy of Scott O'Donnell). 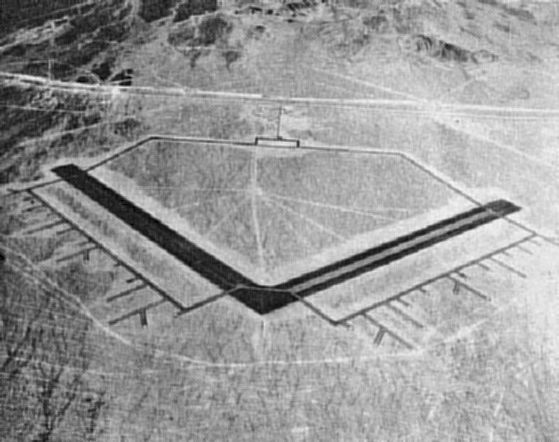 The airfield consisted of 2 paved 5,000' runways & numerous dispersal pads extending off the runways to the south. 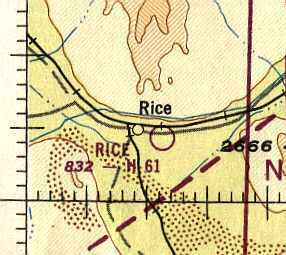 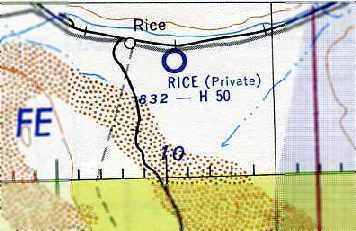 Rice AAF was described in the 1944 US Army/Navy Directory of Airfields (courtesy of Ken Mercer) as having 5,500' runways. 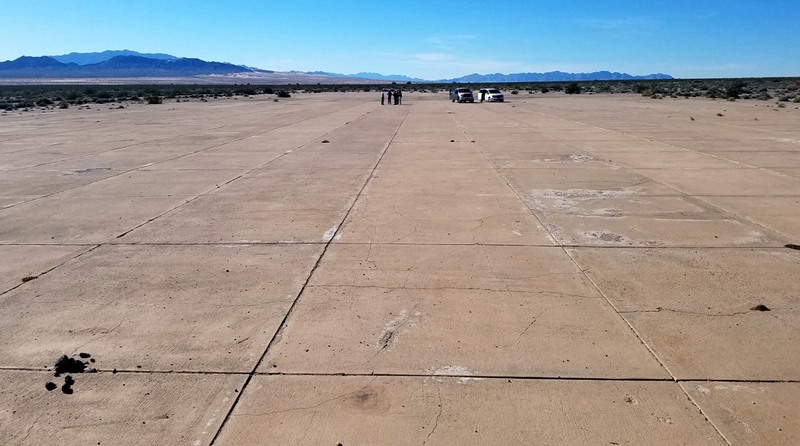 A 2/4/17 photo by Sean Eckstein of the Rice Airport tarmac. 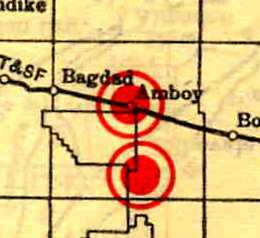 The Amboy Airport, as depicted on the 1929 "Rand McNally Standard Map of CA With Air Trails" (courtesy of Chris Kennedy). 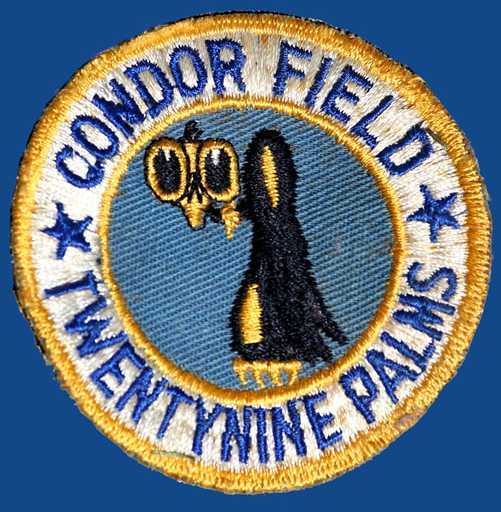 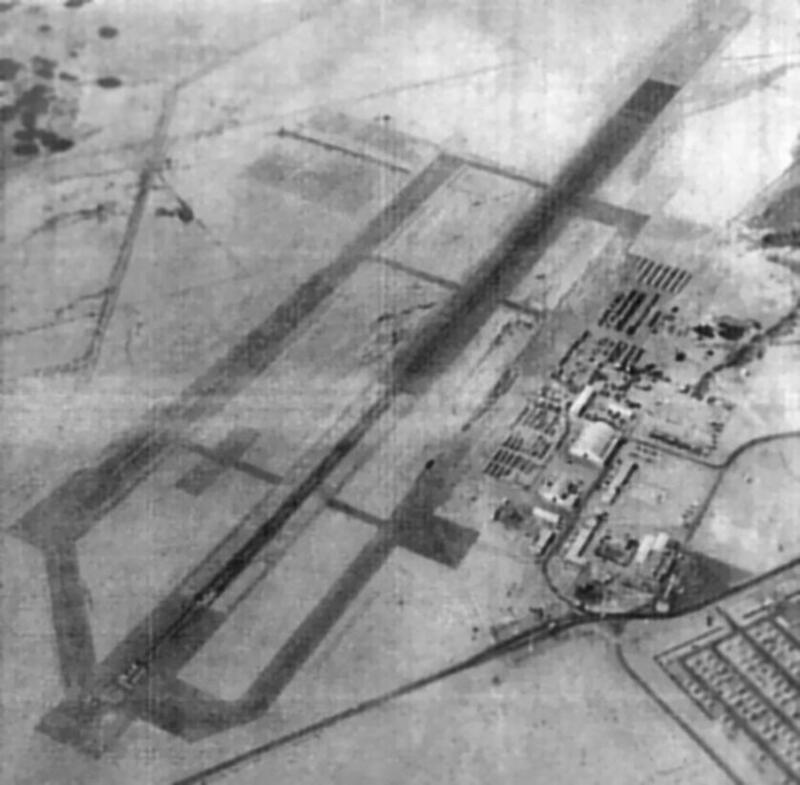 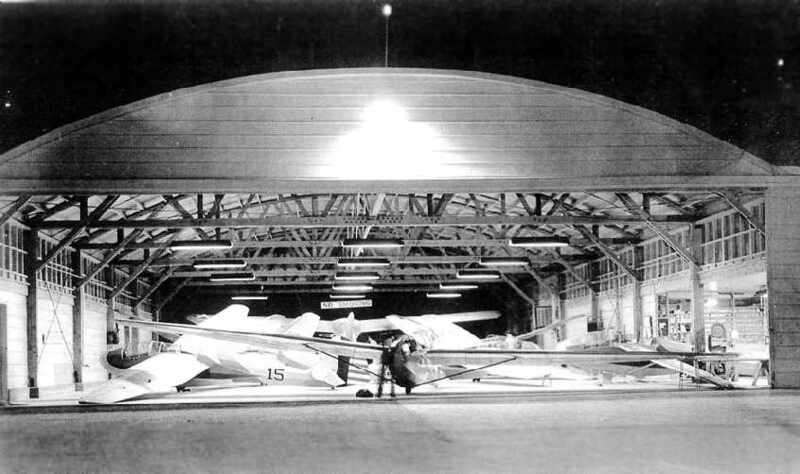 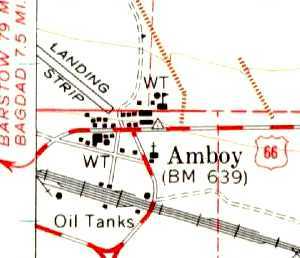 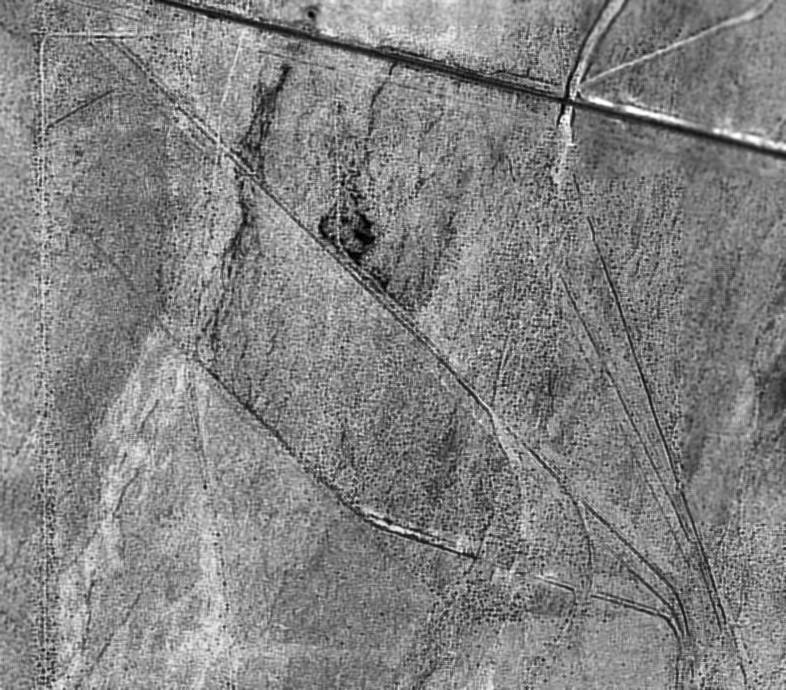 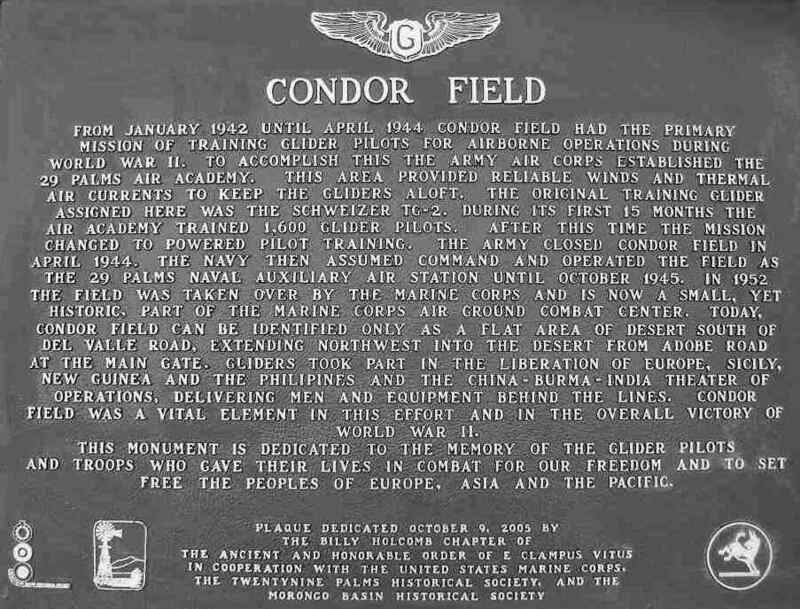 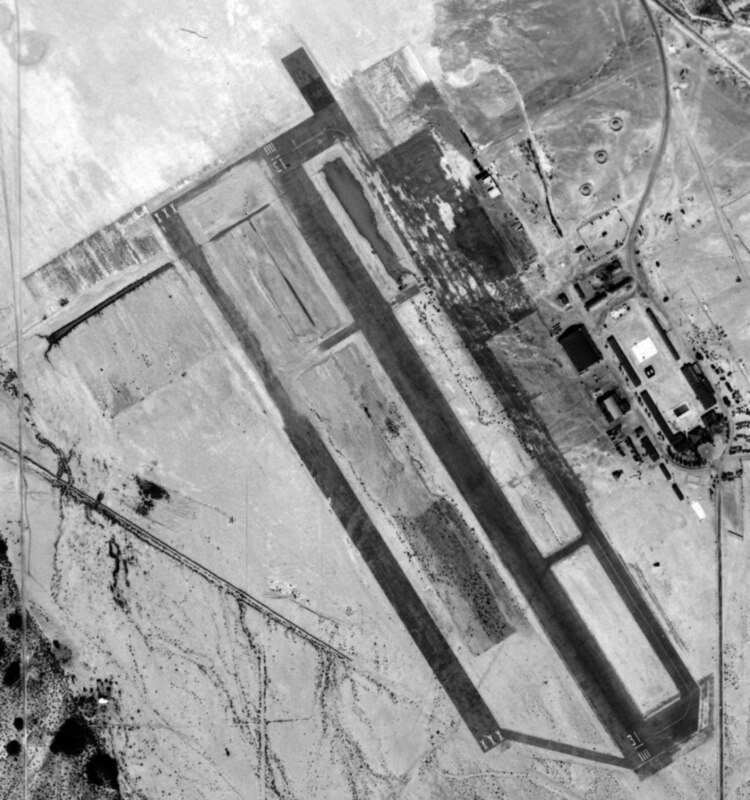 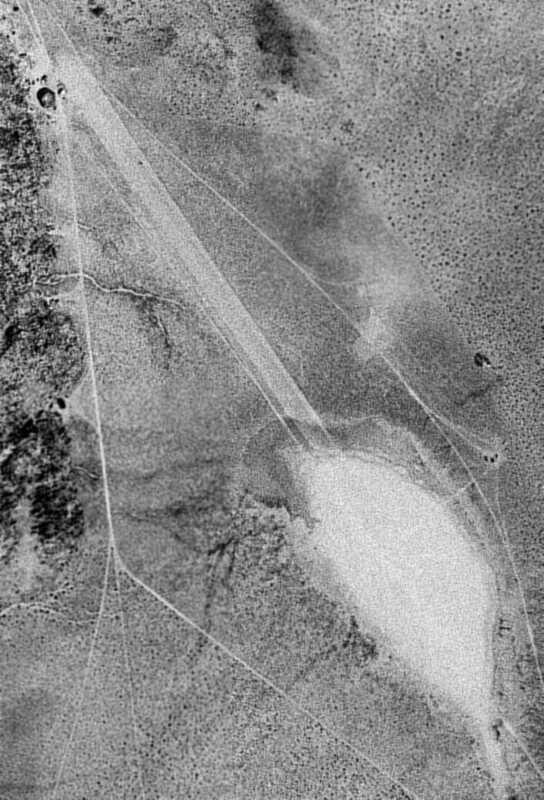 At some point between 1949-54, the Amboy Airfield was reopened, as "Conn" Airfield. 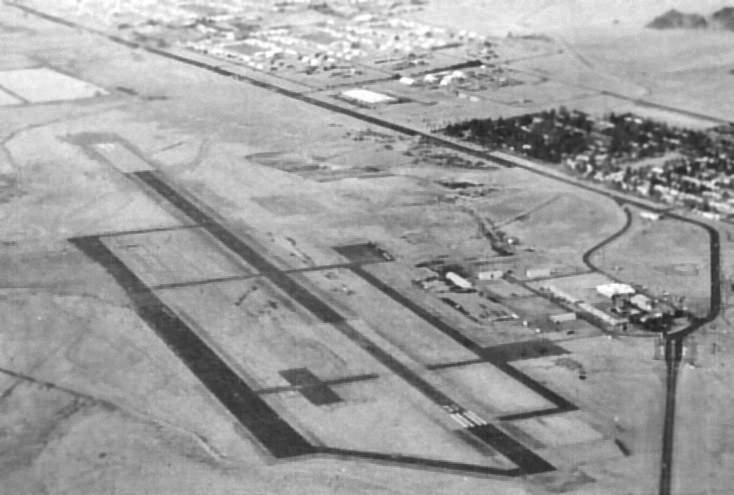 At some point between 1954-60, the name of the airfield was changed again, to "Roy". 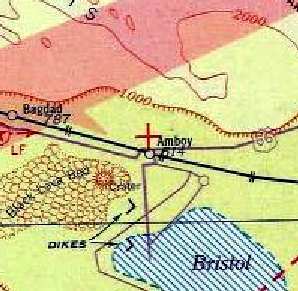 It was still depicted as "Roy" on the March 1965 & August 1966 LA Sectional Charts, but the airfield's status had changed to a private field. 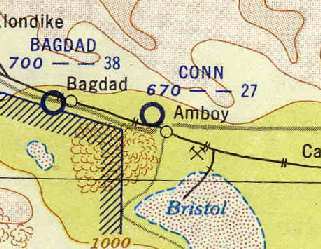 as it was no longer depicted on the March 1969 LA Sectional Chart.